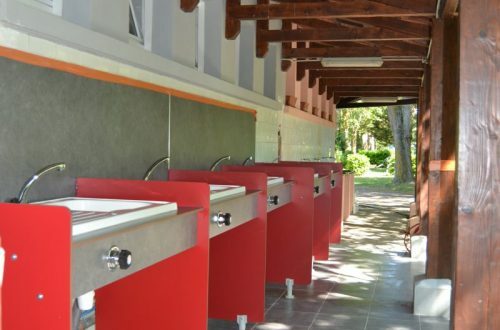 A very pleasant step !! 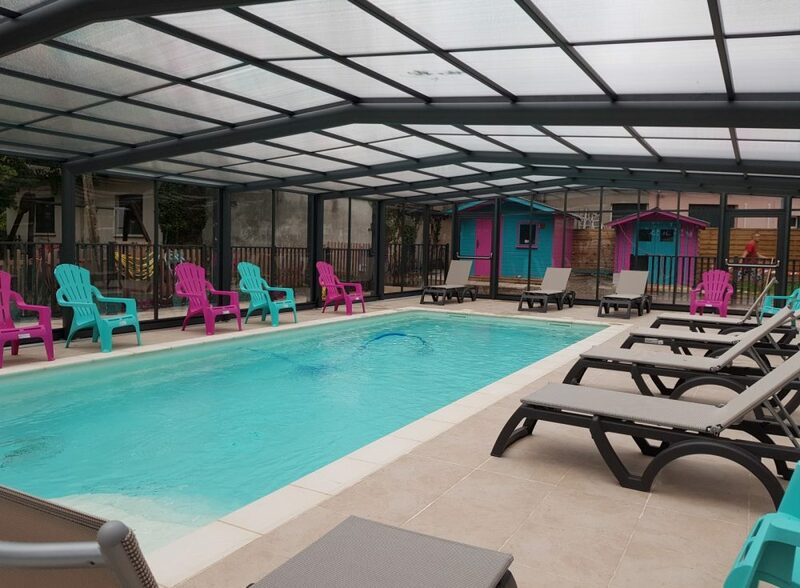 The pool has a jacuzzi corner with hydromassage jets. 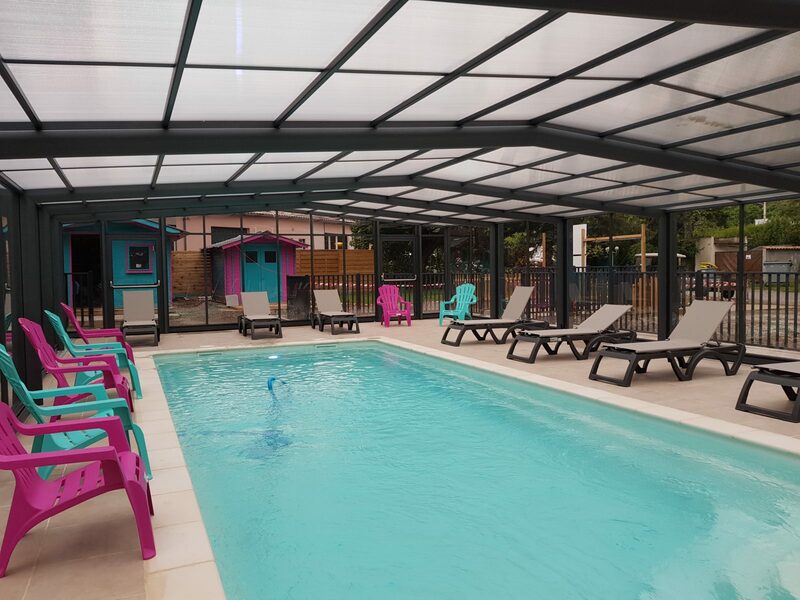 The indoor swimming pool at Camping Les Violettes *** is open from june to September from 10h to 12h and from 14h to 18h. 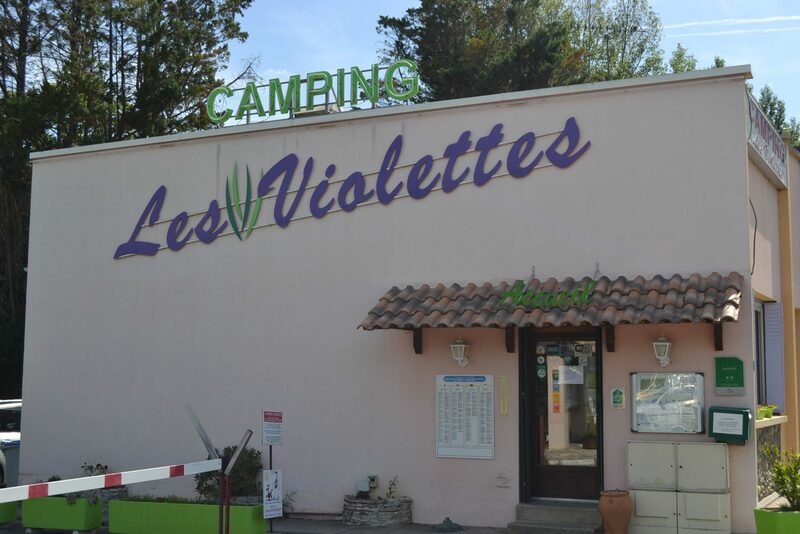 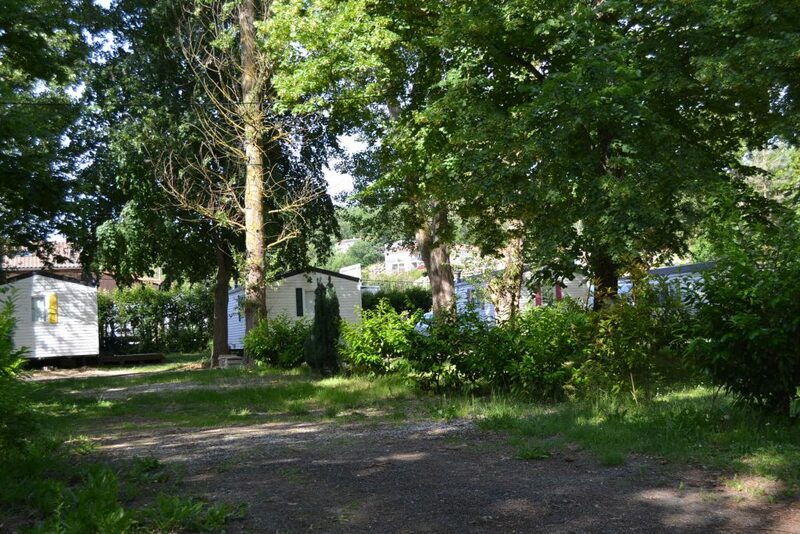 Les Violettes *** Campsite offers comfortable holiday rentals and caravan camping pitches. 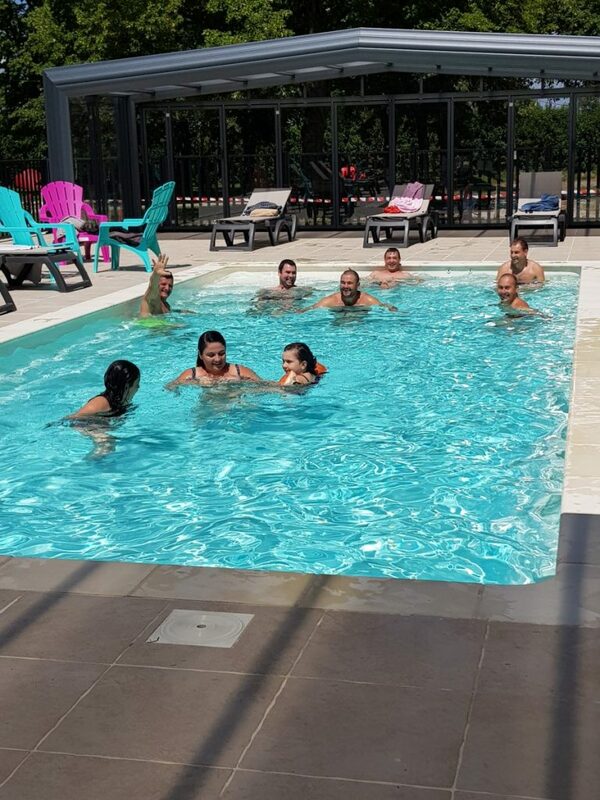 Swimming? 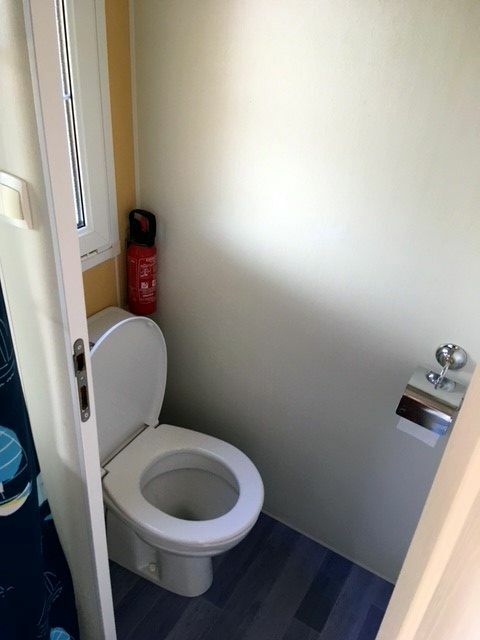 … Reading? 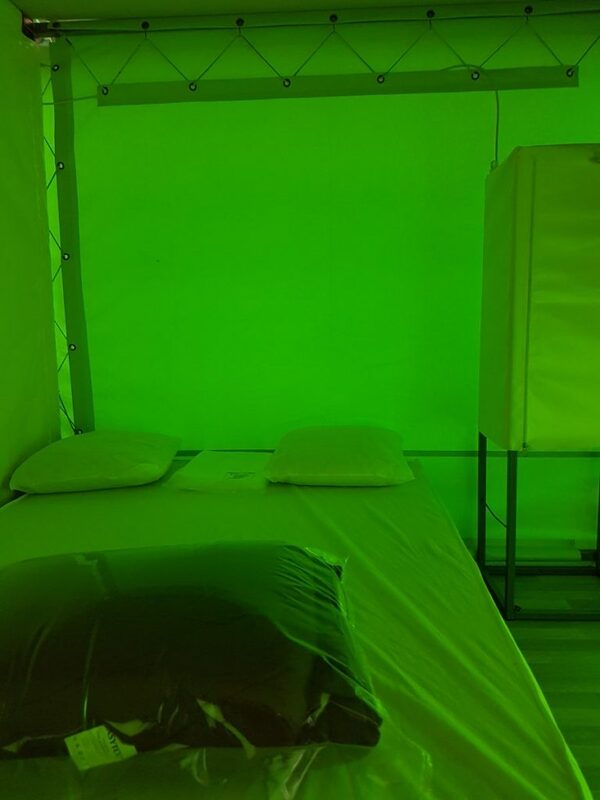 … Relaxation? 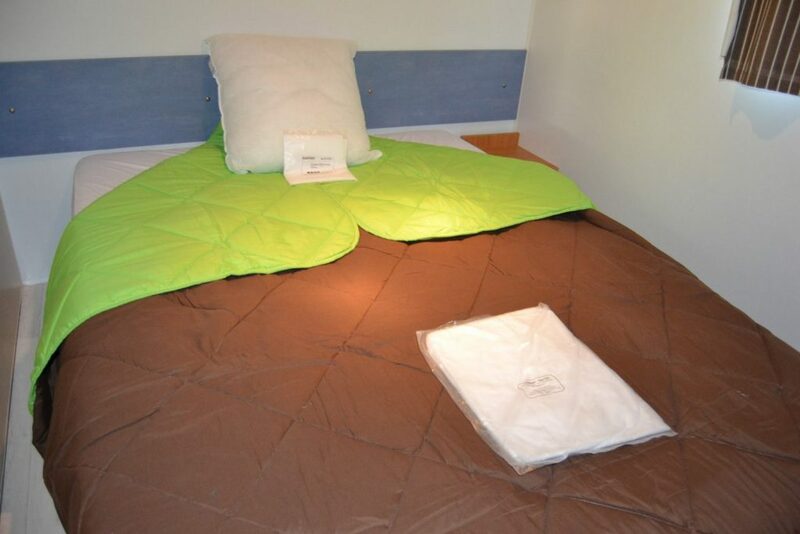 … Rest on a Transat? 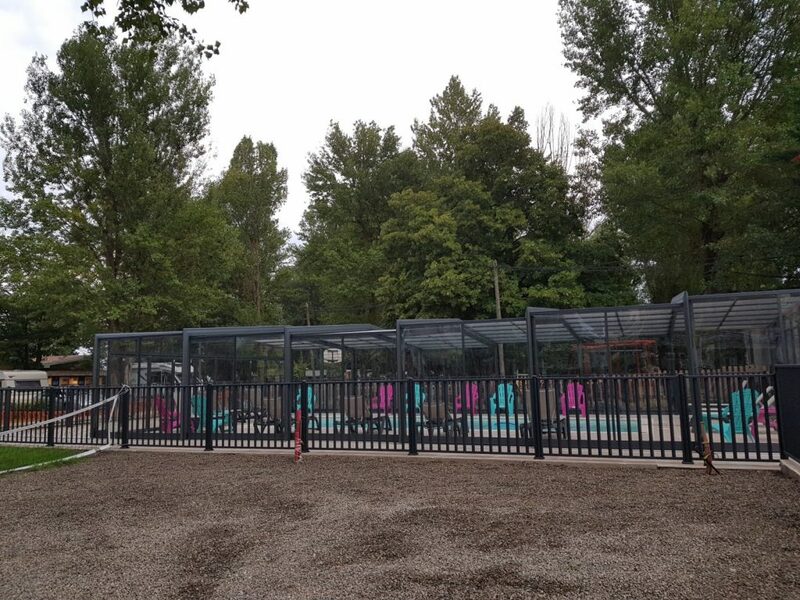 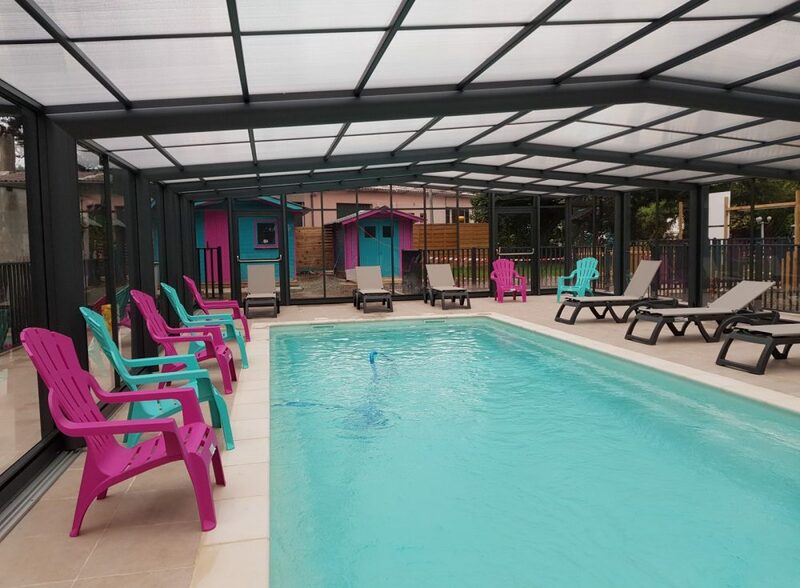 Venez découvrir la piscine couverte du Camping Les Violettes*** situé aux portes de Toulouse. 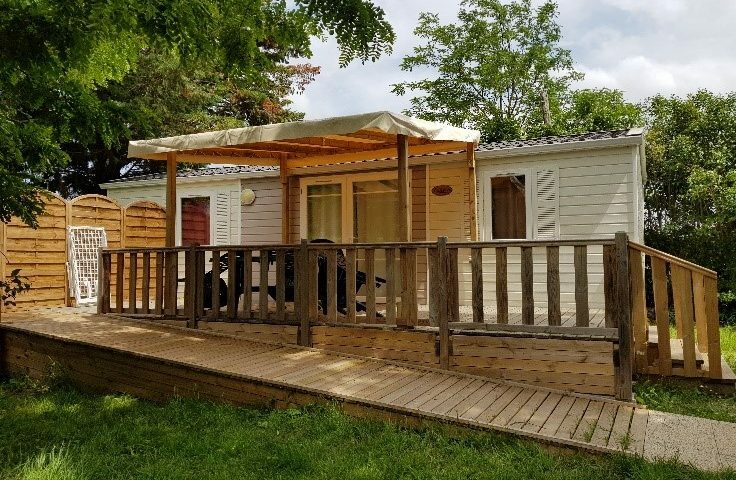 Une Etape Très Agréable !! 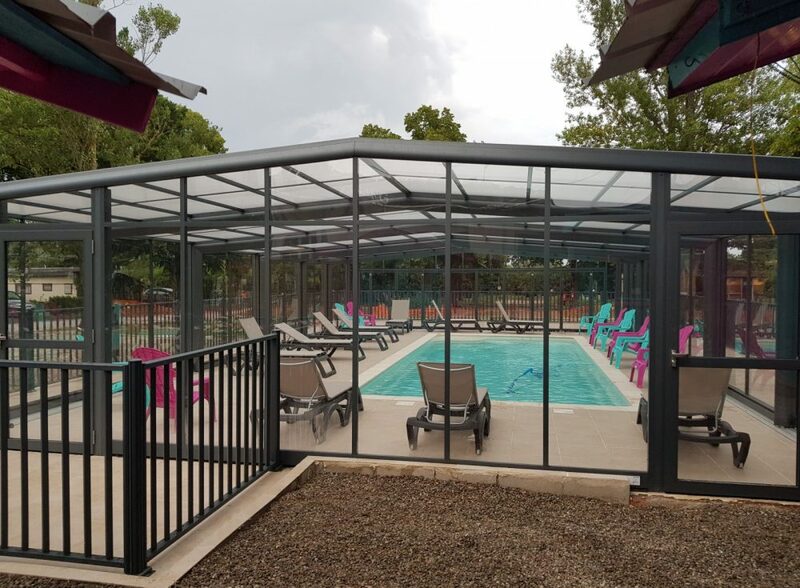 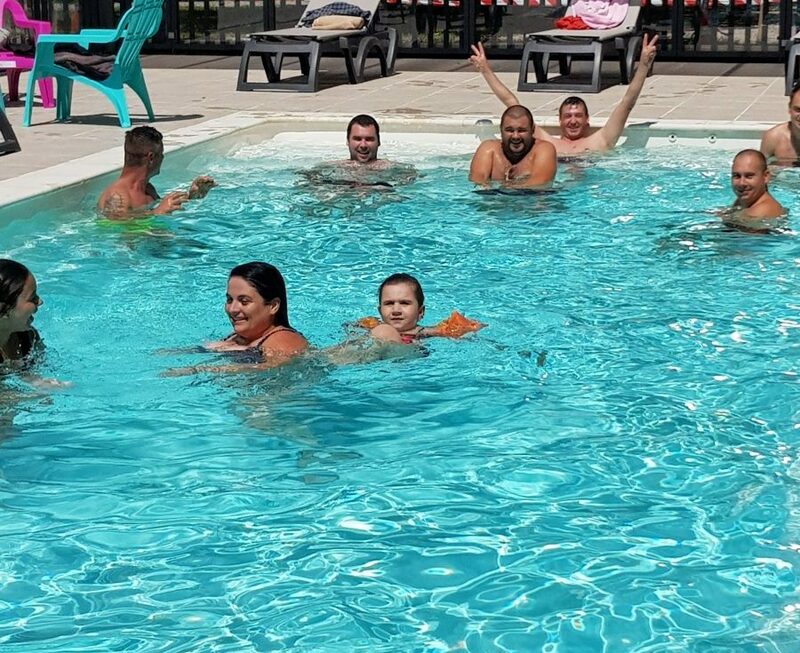 Le Camping Toulouse avec Piscine Couverte vous permettra de savourer les plaisirs de l’eau durant les beaux jours. 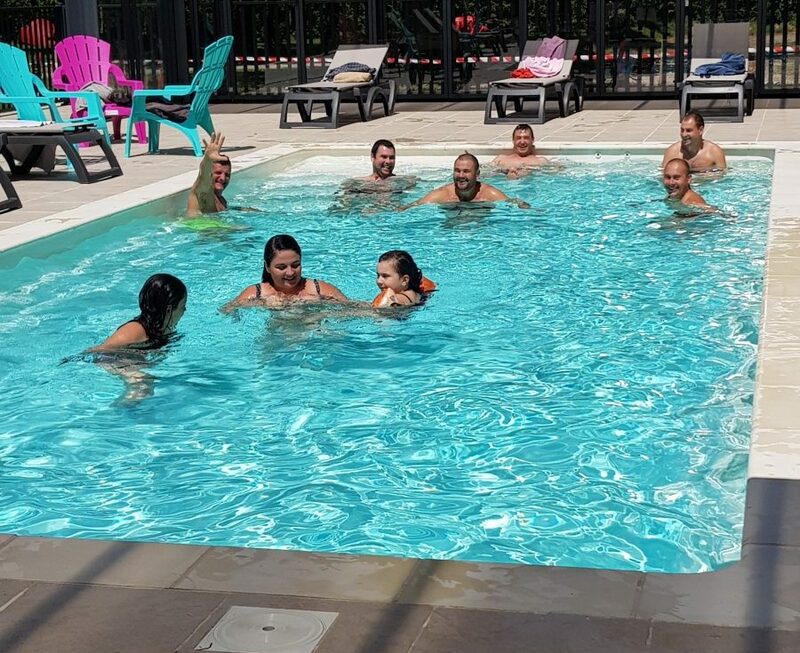 Rien n’est plus agréable que de se baigner et de s’amuser dans l’eau tout en profitant du soleil. 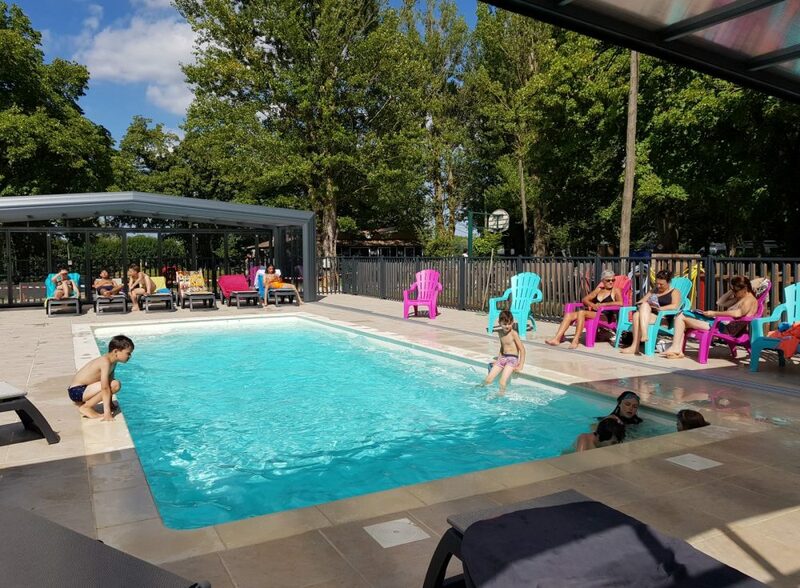 La piscine dispose d’un coin jacuzzi avec des jets hydromassants. 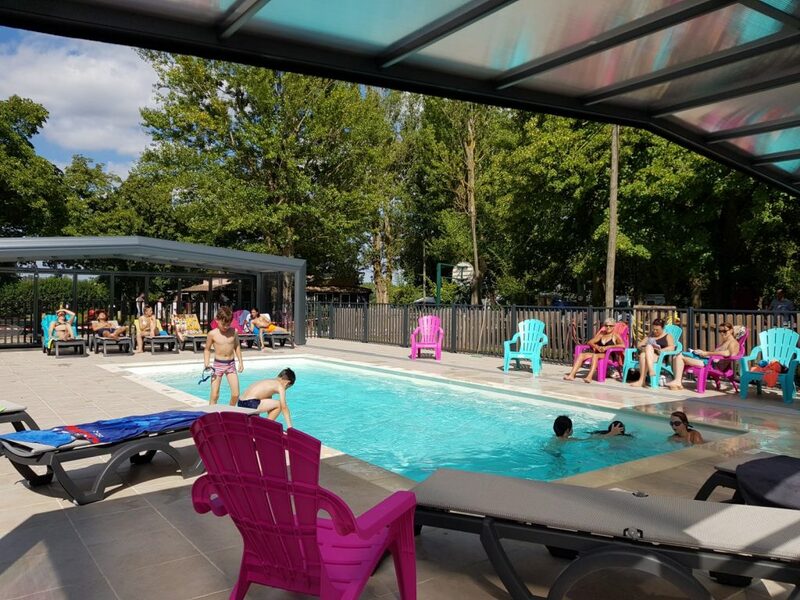 La piscine couverte du Camping Les Violettes*** est ouverte de juin à septembre de 10h à 12h et de 14h à 18h. 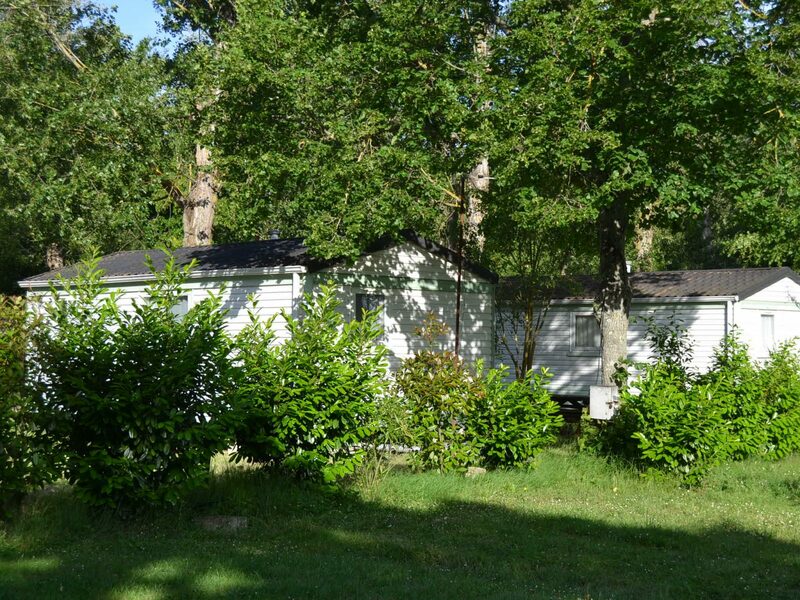 Le Camping Les Violettes*** propose des locations de vacances confortables et des emplacements camping caravaning. 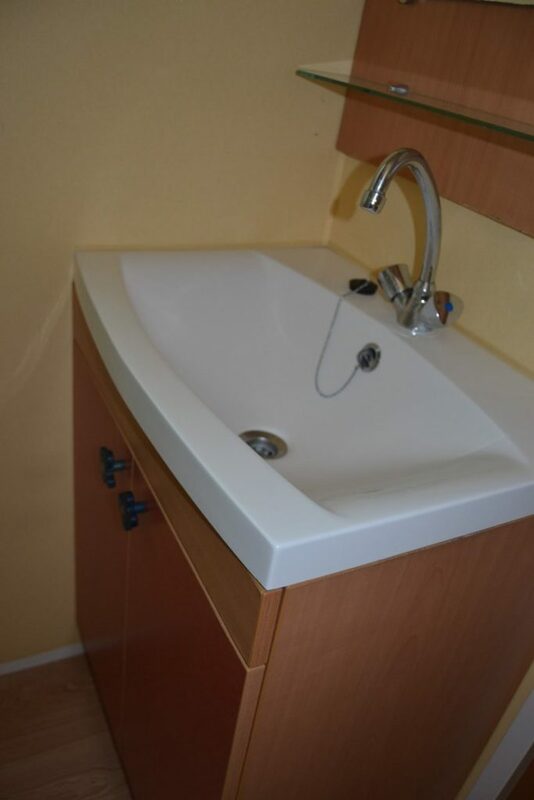 Nage ? 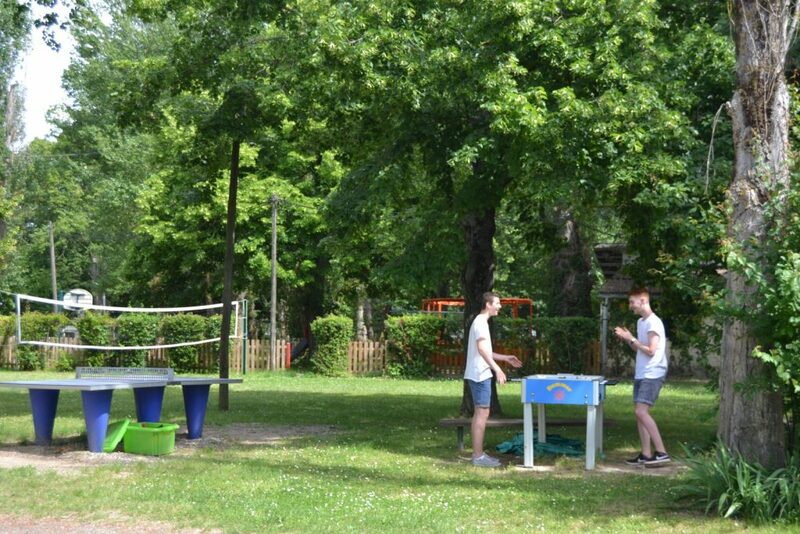 … Lecture? 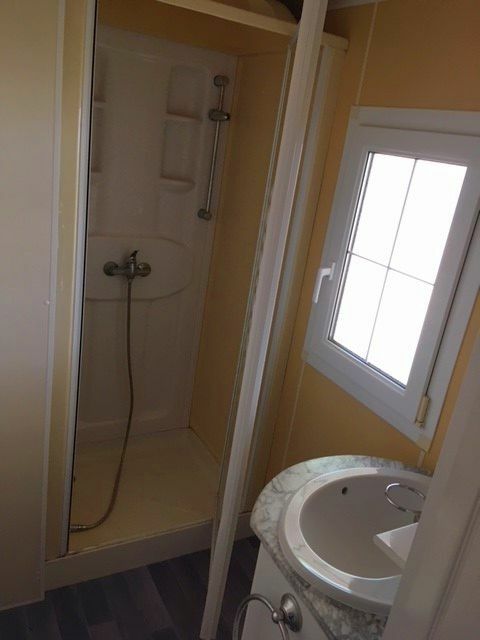 … Décontraction? 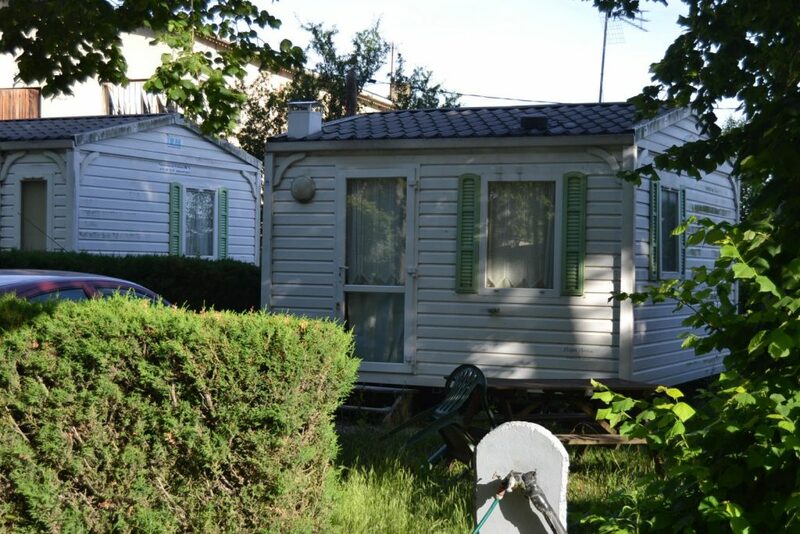 … Repos sur un Transat ? 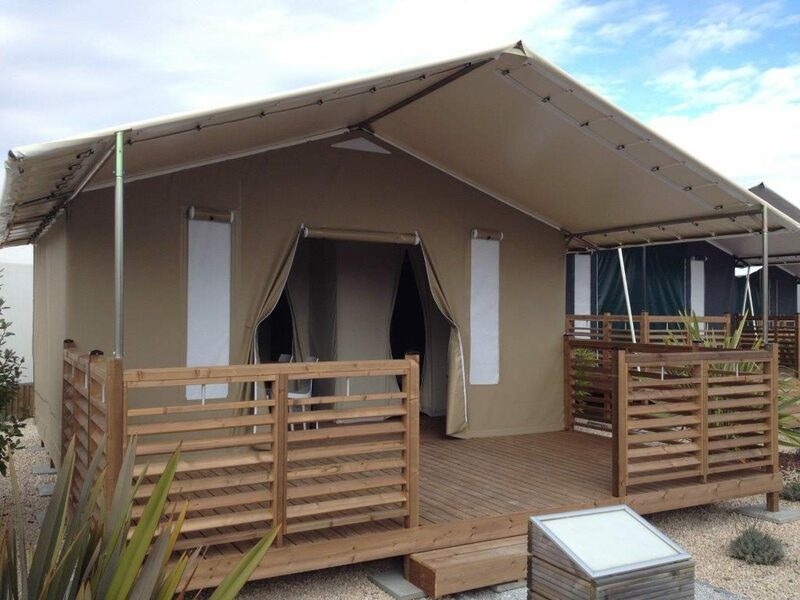 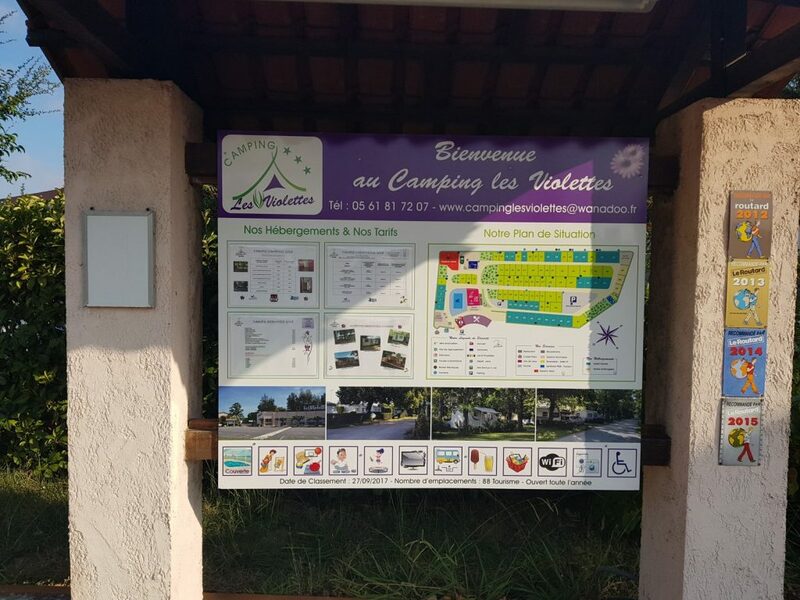 Visit Les Violettes Campsite by watching our short presentation videos. 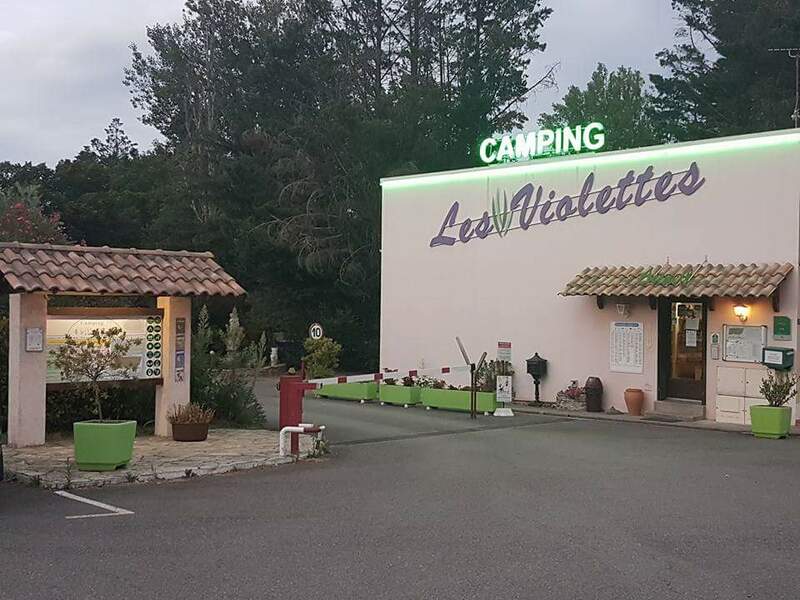 Enjoy Les Violettes*** Campsite in Occitanie Pyrénées Méditerranée near Toulouse and benefit from a perfect departure spot for your cultural outings. 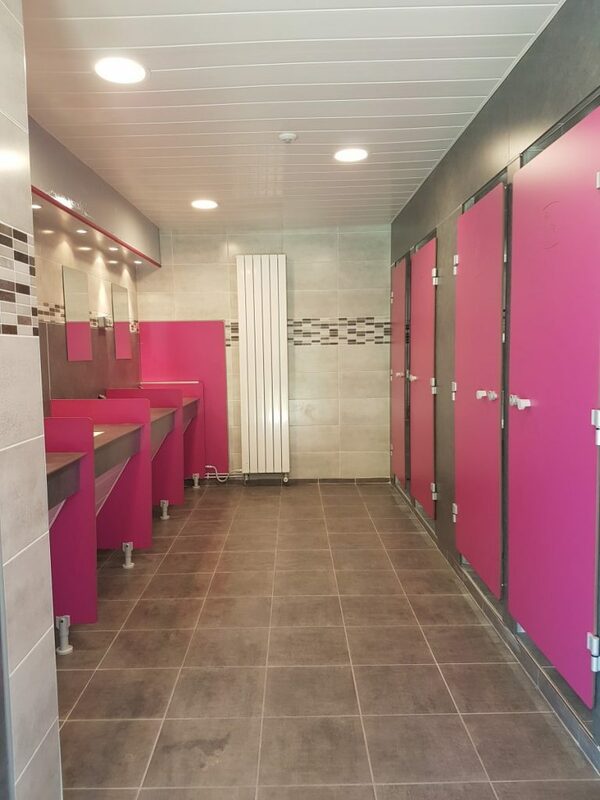 Tolosa” in Occitan, nicknamed the “Pink City”, is a city where it’s nice to wander, cultivate oneself and move about, according to your desires. 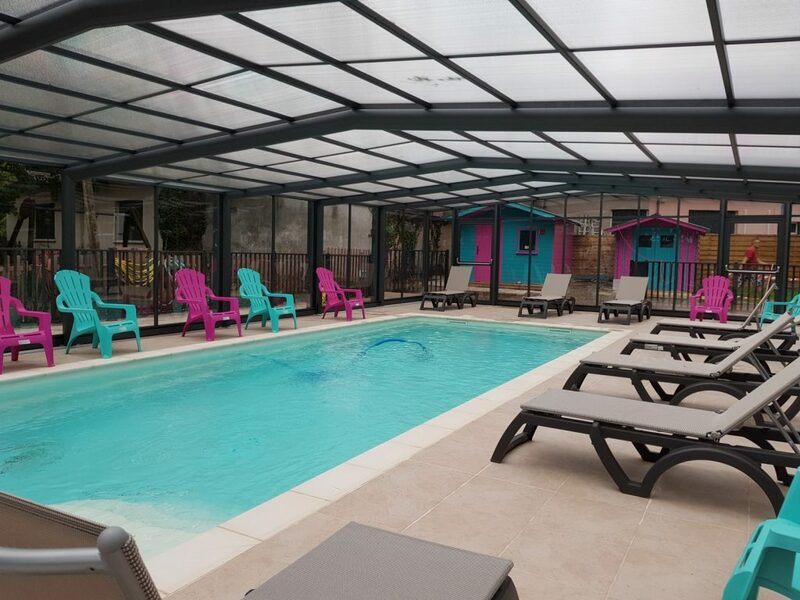 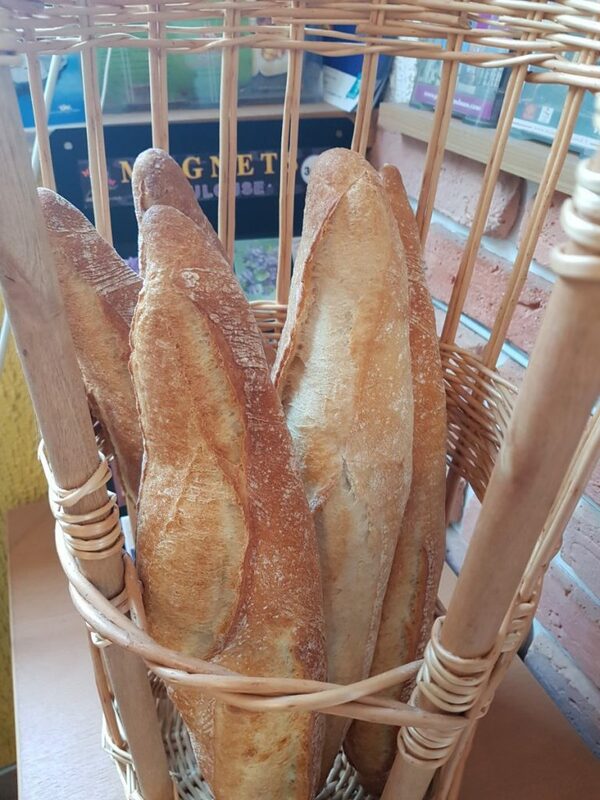 You can enjoy the fresh air on the terrace of a café around the Capitole, take advantage of the sun on the banks of the Garonne at the prairie des filtres or the docks of the Daurade and maybe even do some shopping on Saint-Rome street. 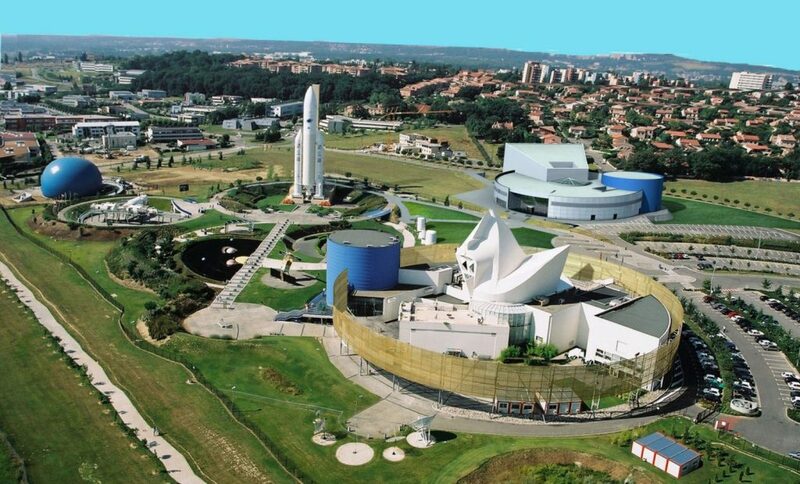 You can also visit the many museums, churches and cathedrals, from Saint-Sernin to the Cité de l’Espace. 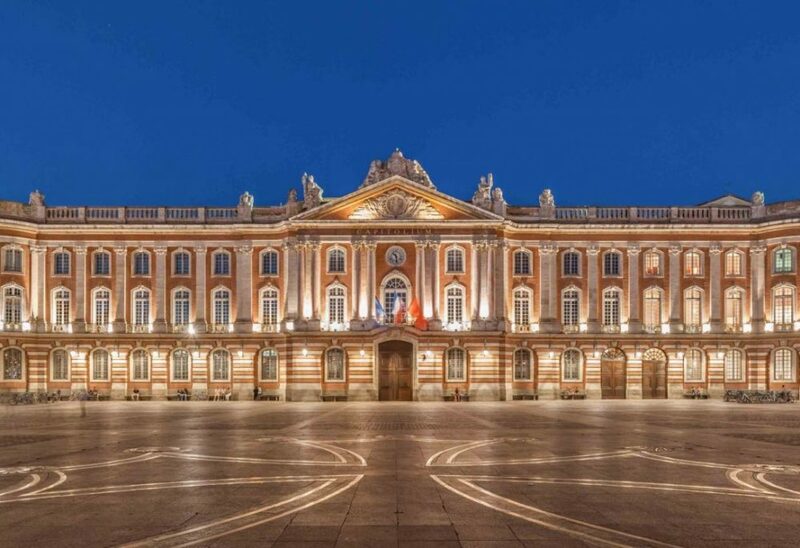 Toulouse bears witness to a rich history which is still being written. 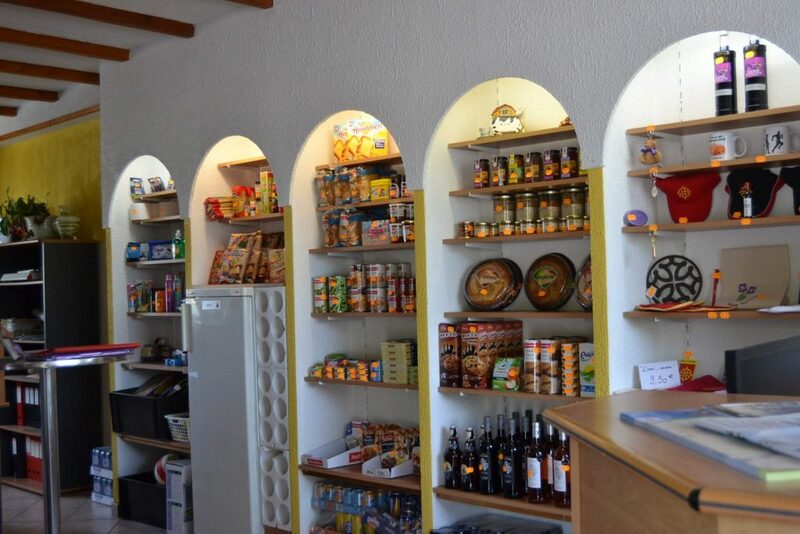 But one should not forget the Mediterranean influences which blow through the city – here celebrating is a must and there are lots of places to enjoy oneself – even epicureans can find their niche. 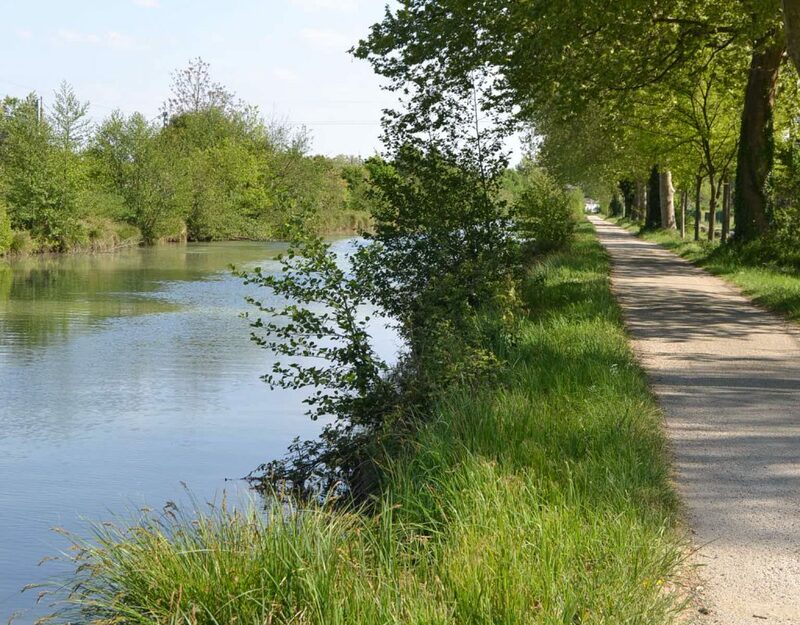 Listed since 1996 as a UNESCO World Heritage Site, this canal, which was constructed by Pierre Paul Riquet offers a multitude of diverse activities. 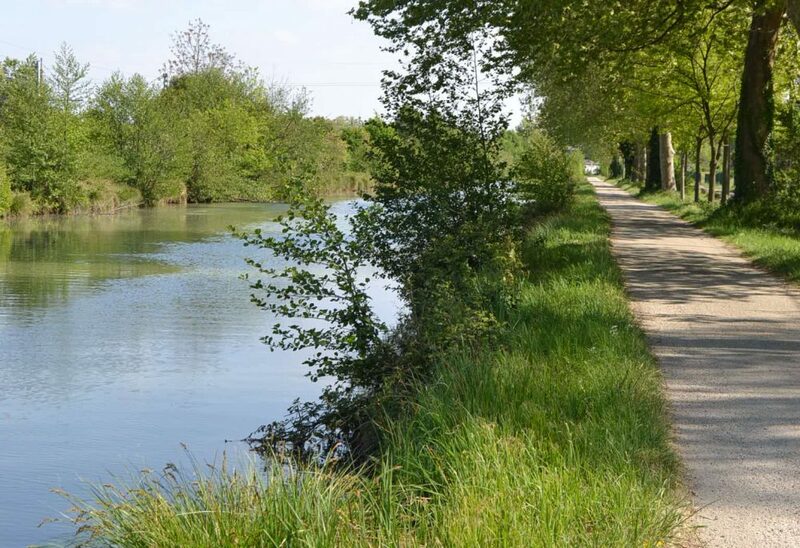 If you are a fan of bike rides, the bike trail can take you from Toulouse to Port-Lauragais, where you can take a barge to go to “seuil de Naurouze”, where the canal is the highest. 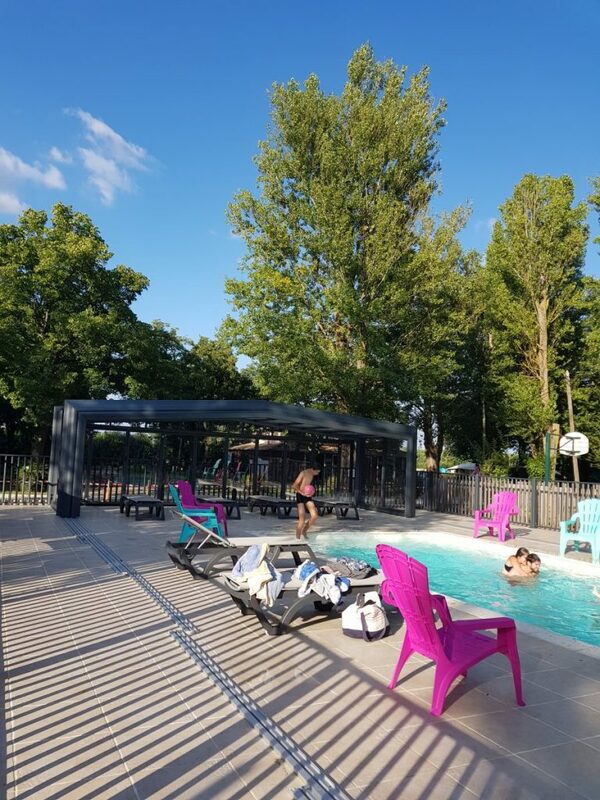 Why not go further to the Saint-Ferréol lake which serves as the reservoir of the canal and discover the many activities there? 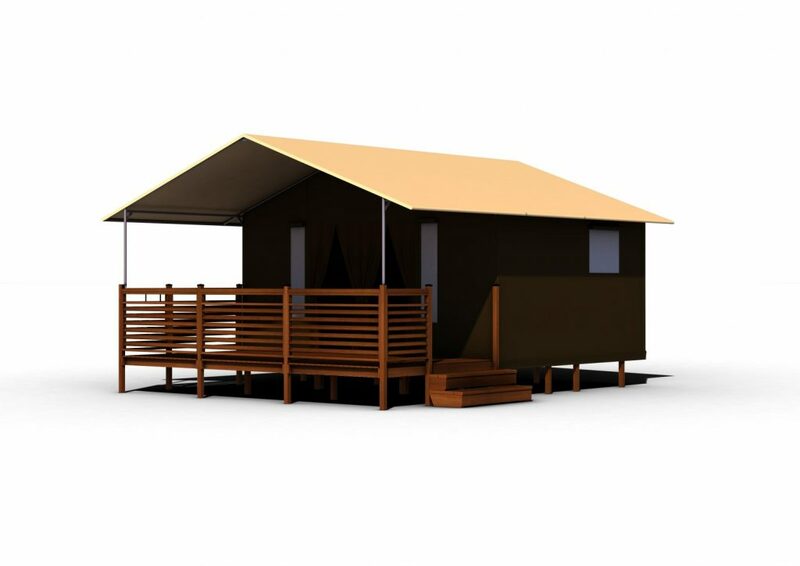 If you enjoy fishing you will find everything to satisfy your passion. 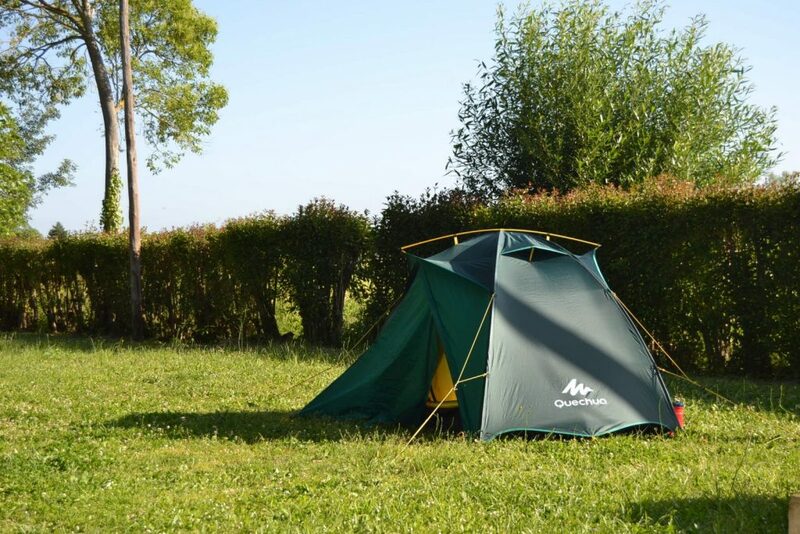 The Coteaux du Lauragais offers many possibilities for rambling, be it by mountain-biking, on horse, or even by foot, you can admire the various landscapes at the foot of the Pyrenees mountains. In the land of the Autan wind, many artificial lakes, including the Ganguise lake or Saint Sernin lake, among others, can be enjoyed by windsurfing fans. 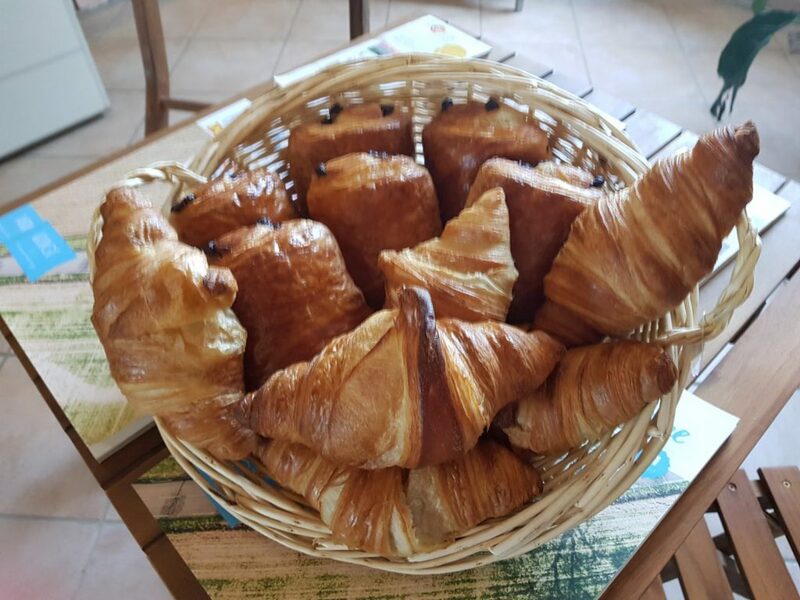 From cassoulet to the odour of violets, from foie gras to pastels, the region is overflowing with local specialities to be discovered or rediscovered, skills and expertise to be appreciated and many other curiosities. 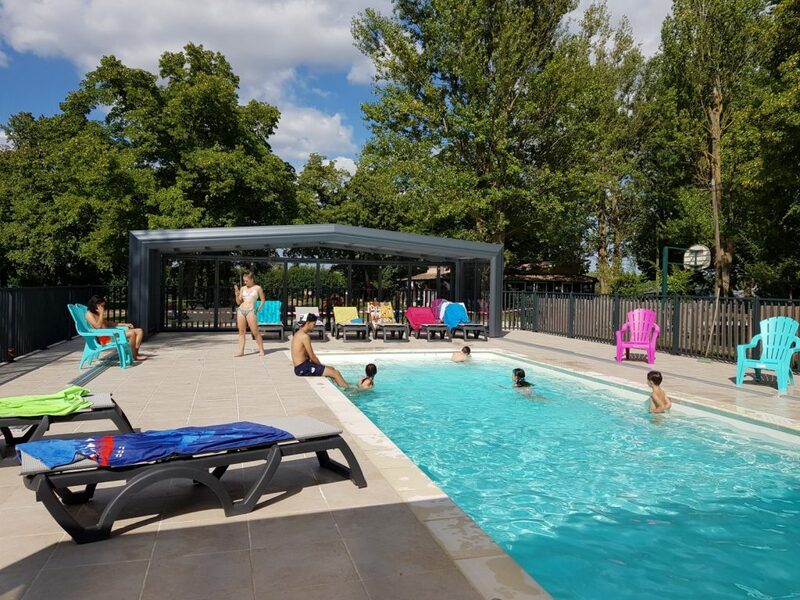 Moving a bit further towards the Mediterranean, lovers of medieval ambiances will surely not miss the occasion to visit the City of Carcassonne. 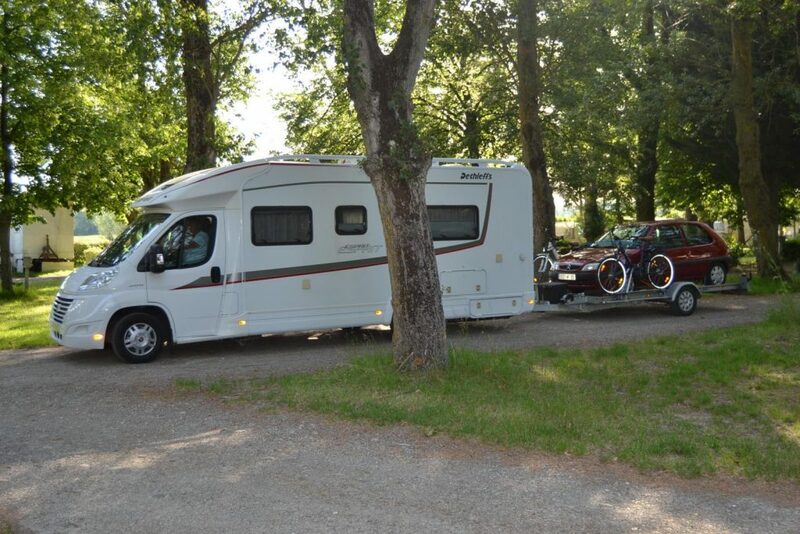 Don’t forget that we are in the land of Cathars where one can discover the vestiges from Albi to Foix. 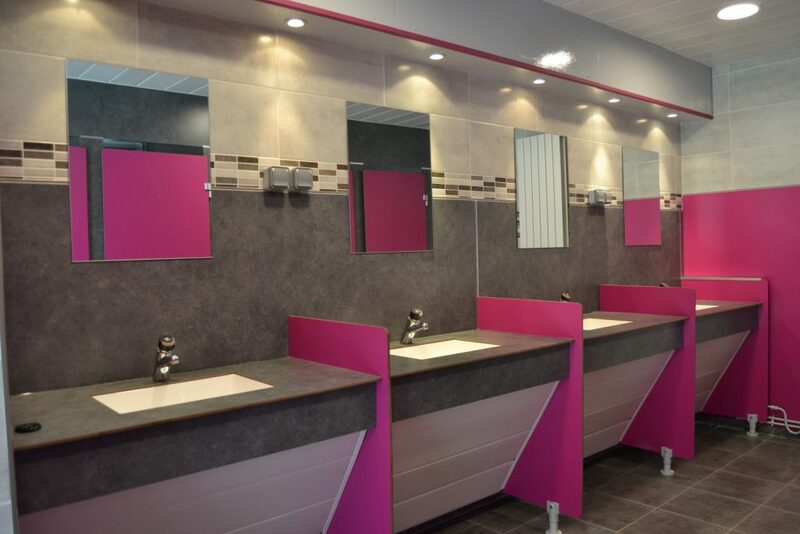 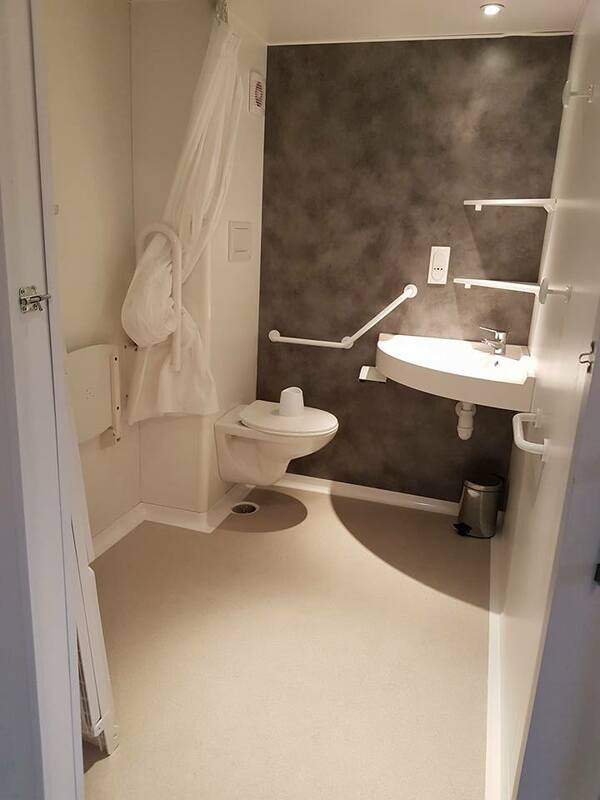 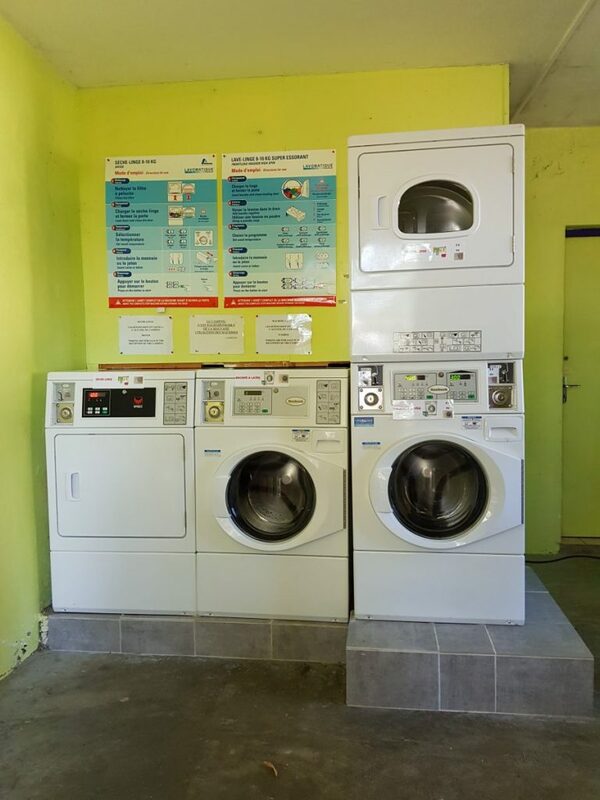 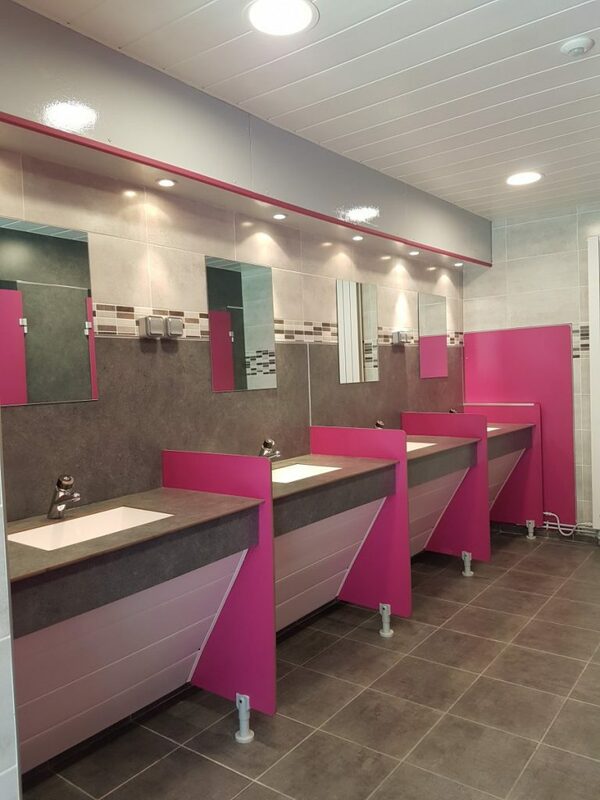 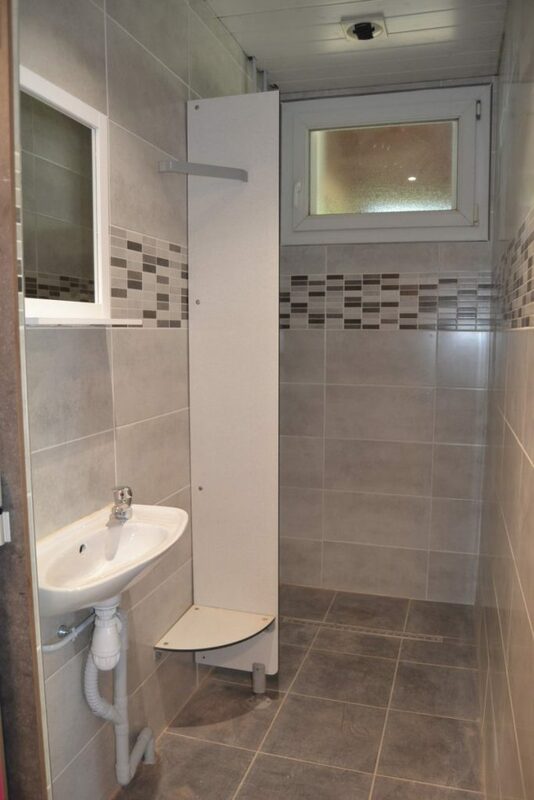 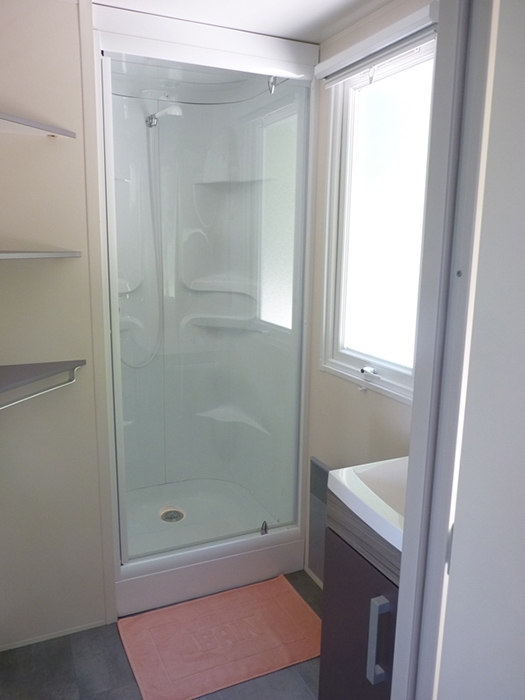 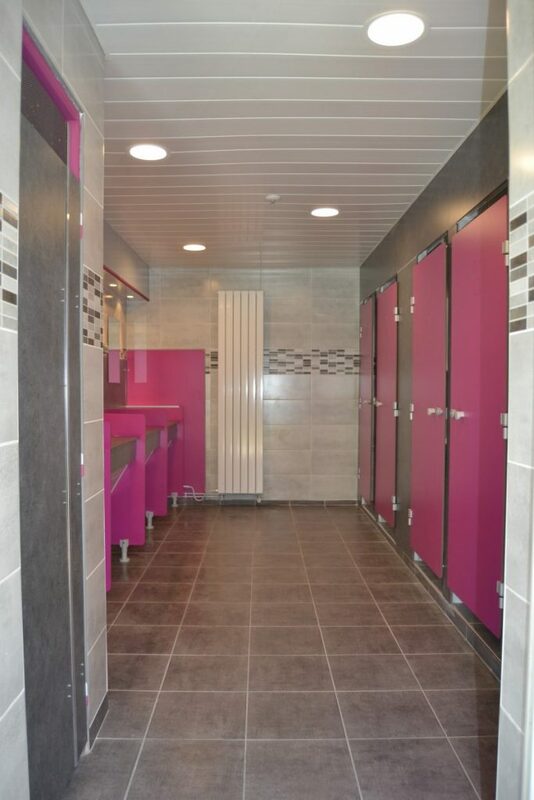 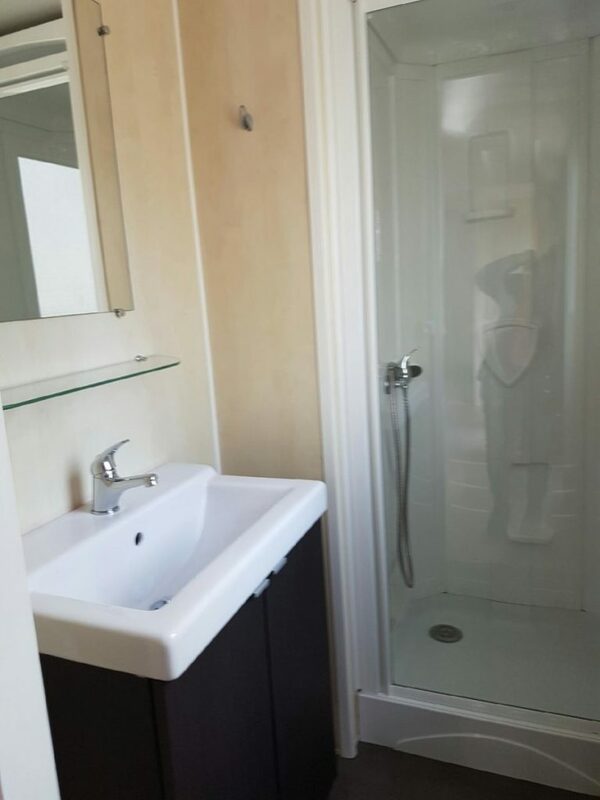 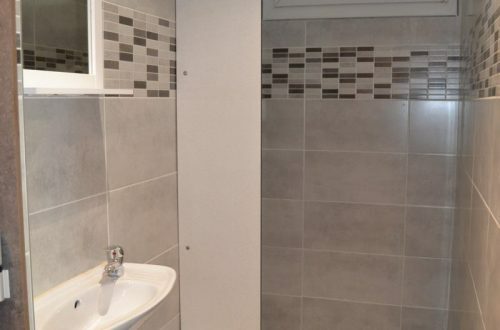 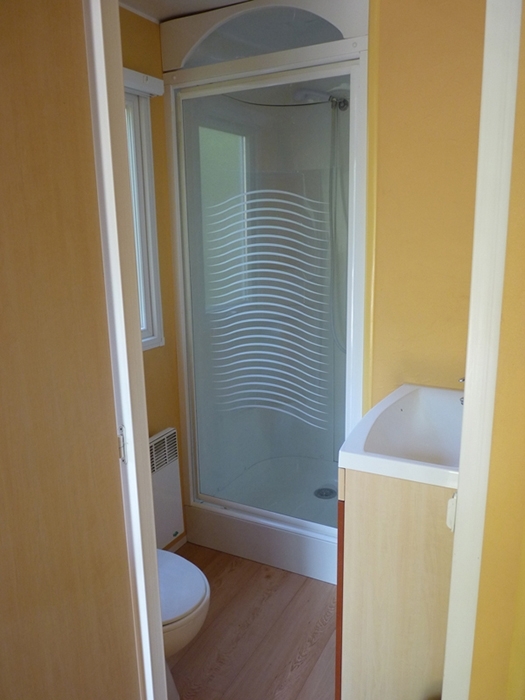 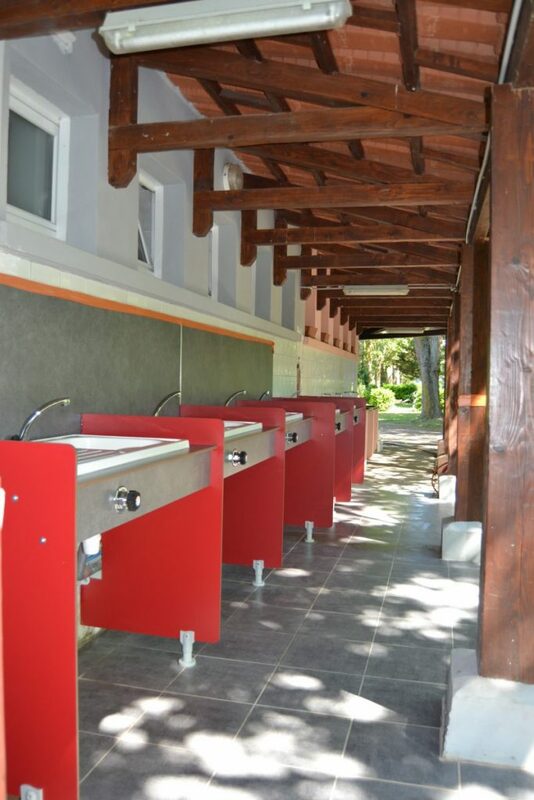 Heated and renovated sanitary facilities with access for people with disabilities. 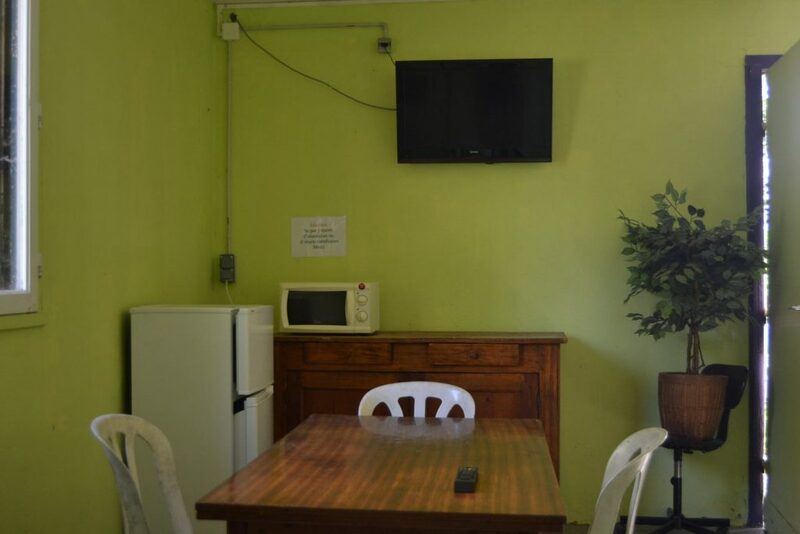 One-night stays must be paid at arrival. 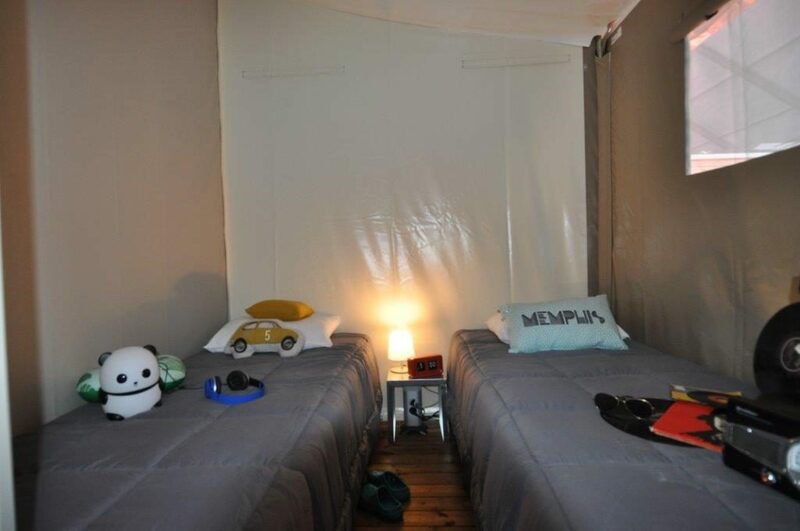 Camping day is from 12 pm to 12 pm. 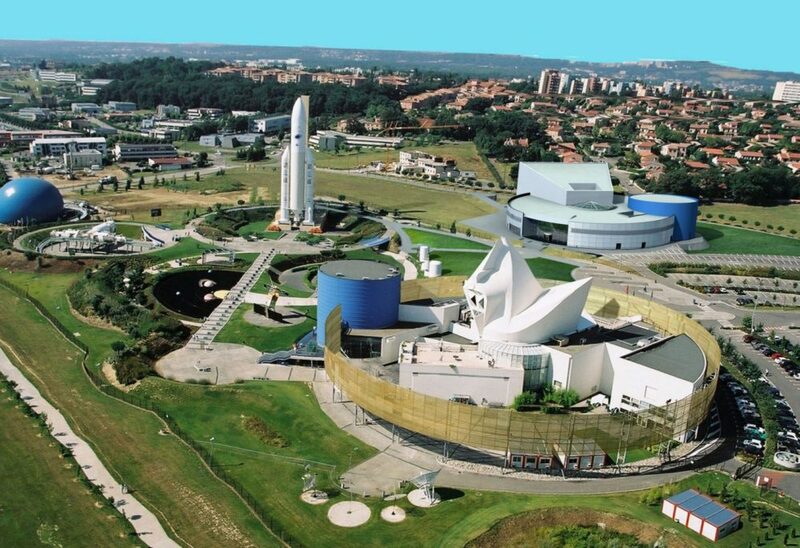 An access badge will be provided, free of charge, so that you can come and go and for departure (before 12 pm). 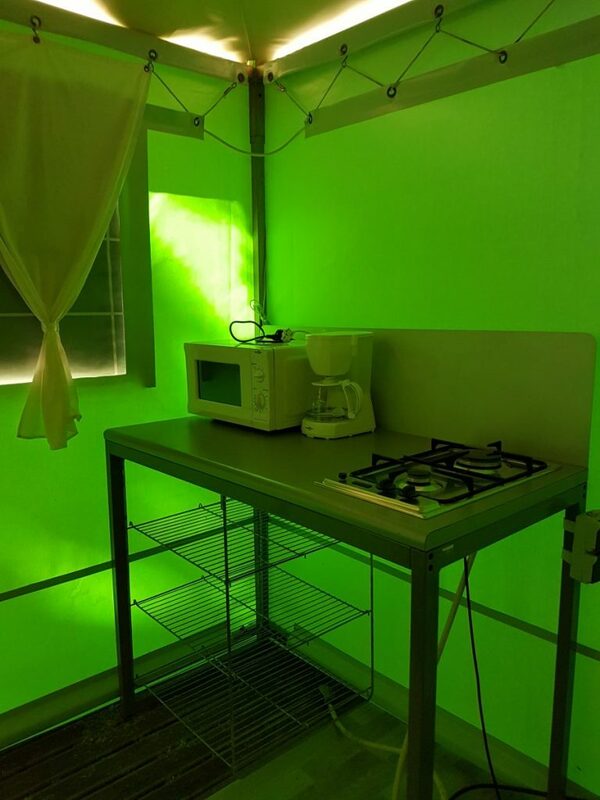 Please leave it at reception or deposit in the place provided. 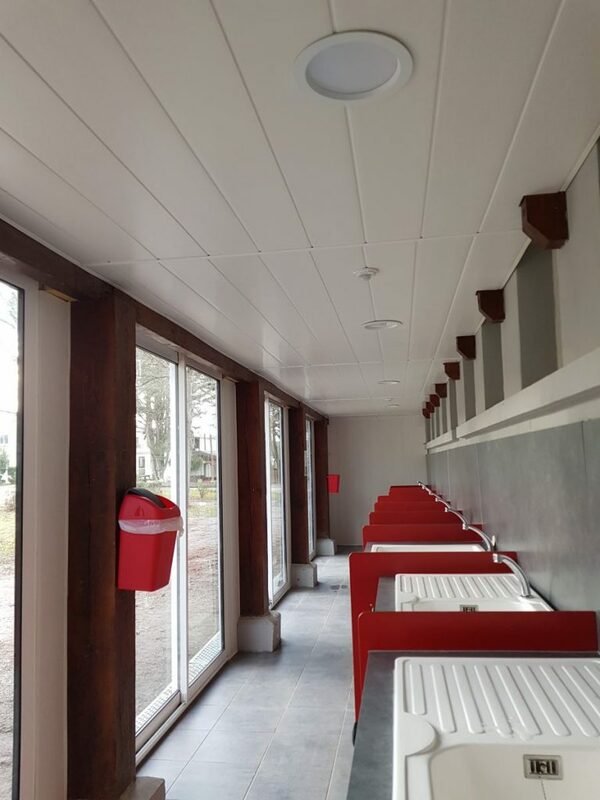 Your ID card will be requested as well as a vaccination certificate for your animal. 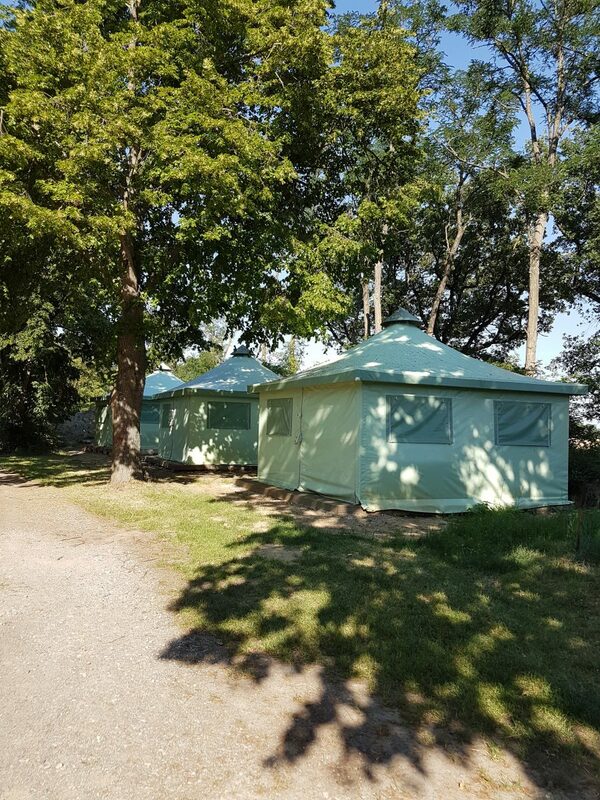 Cancellation insurance will be proposed when you make your reservation. 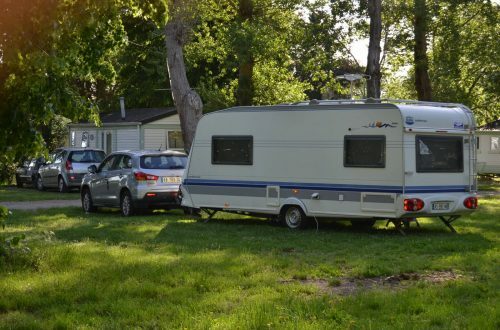 Ideal stopover to discover the region, our high-quality grassy or firm pitches are available with or without an electric connection. 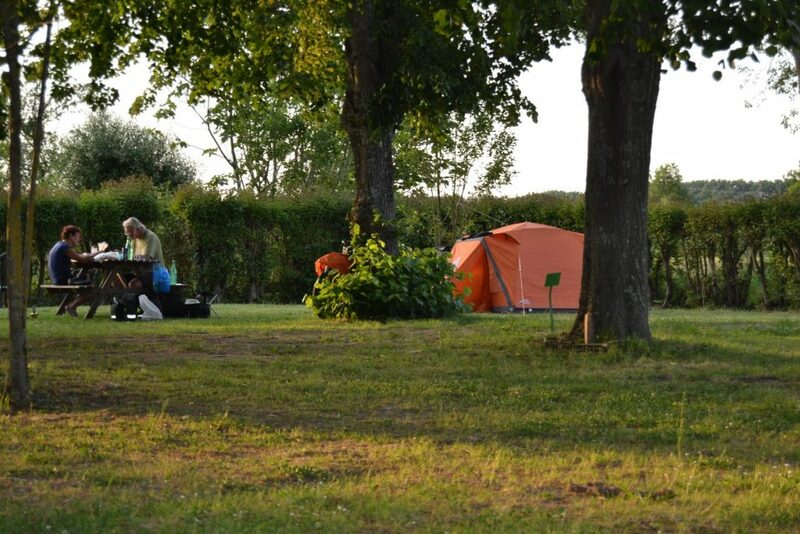 Located east of Toulouse, on the road to Narbonne, Les Violettes*** Campsite is open all year long. 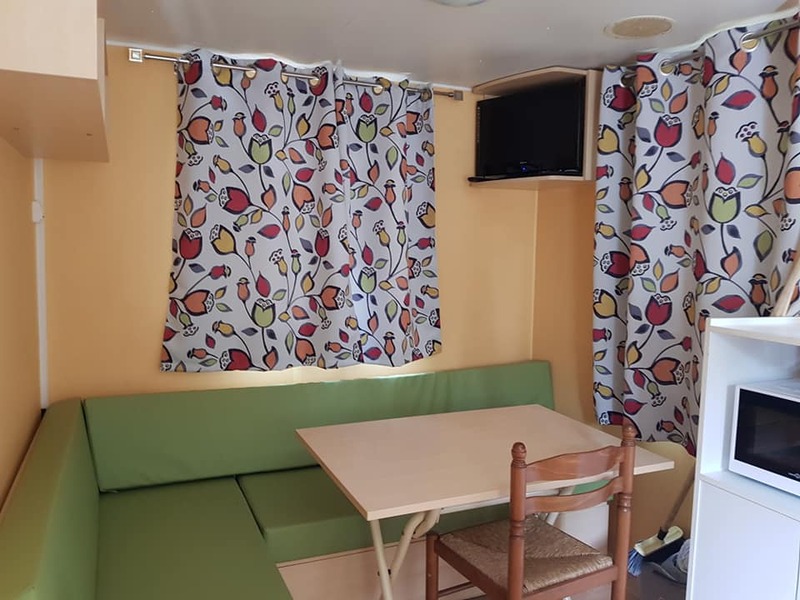 On foot, by bicycle, by caravan or camper, for a short or a long stay, alone or with a group, we propose different types of accommodation to guarantee you, throughout the year, the best quality-enjoyment-price ratio. 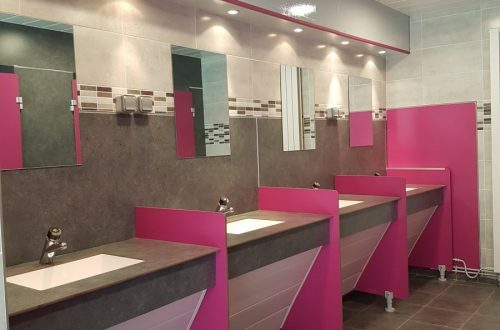 Led by the desire to satisfy you, we are available if you have any remarks, suggestions, or advice on how we can better serve you. 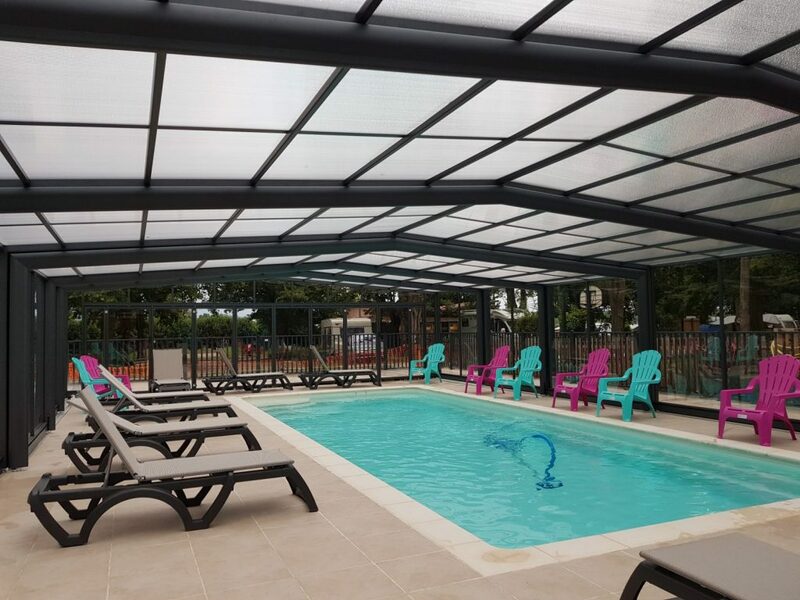 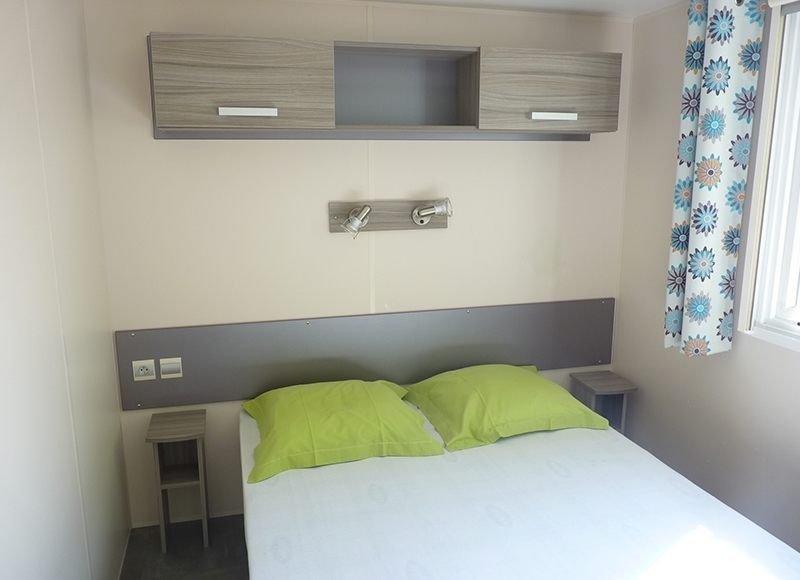 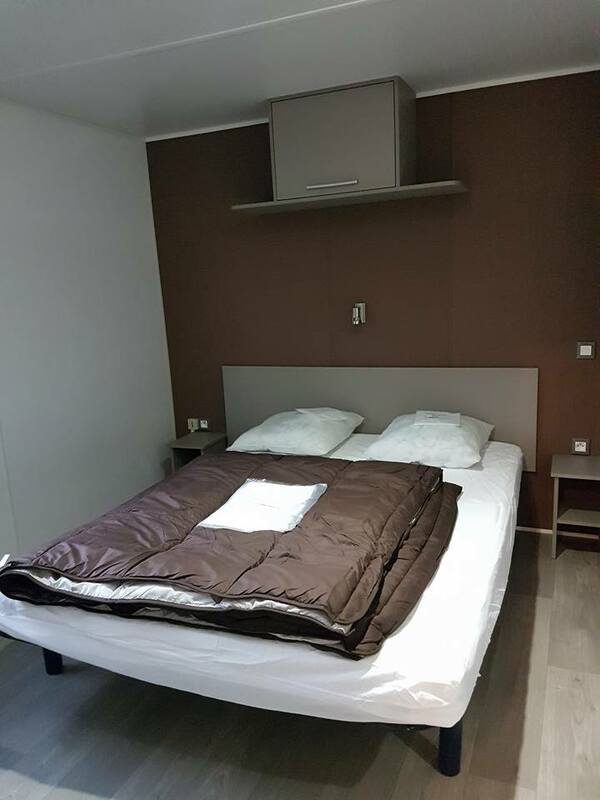 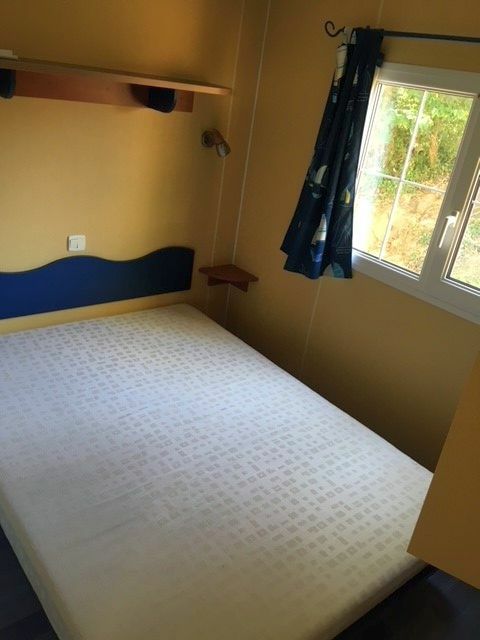 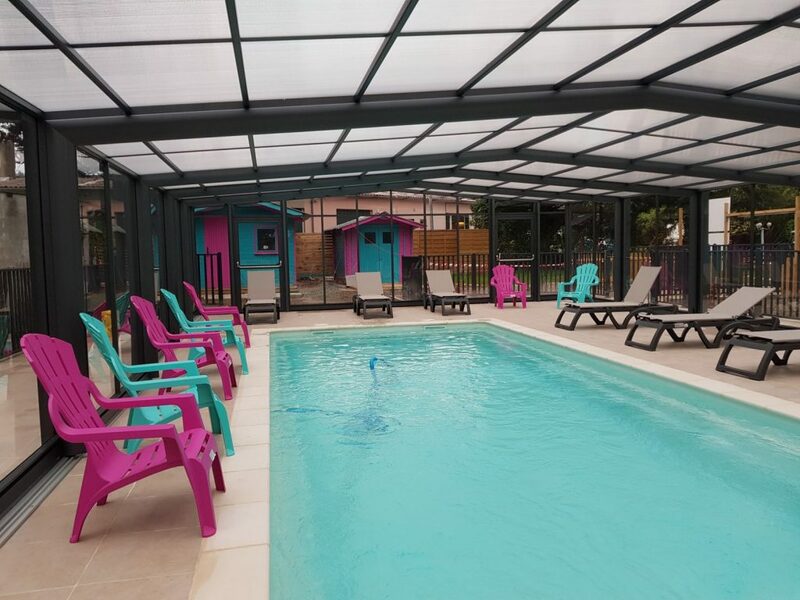 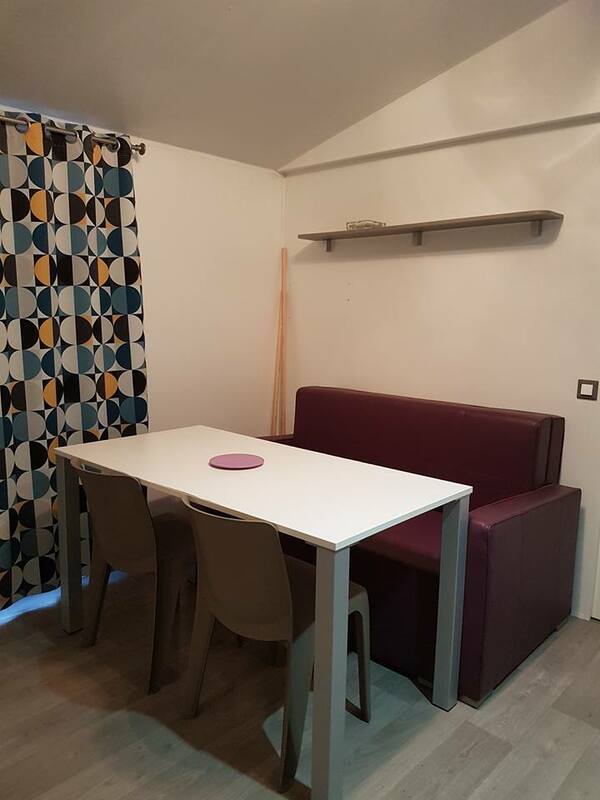 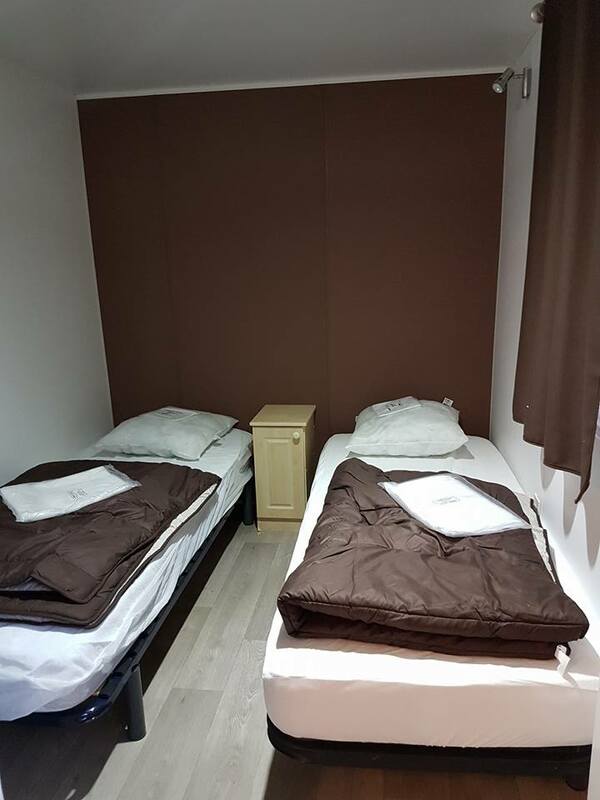 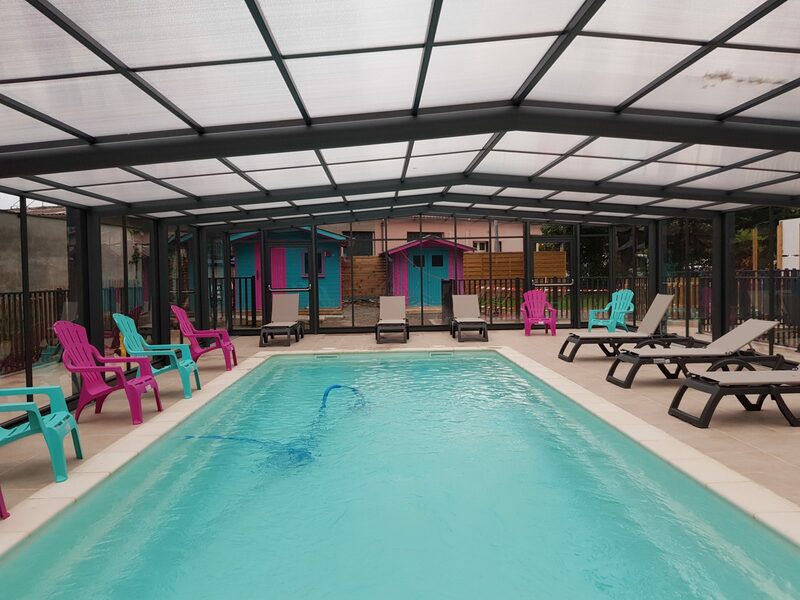 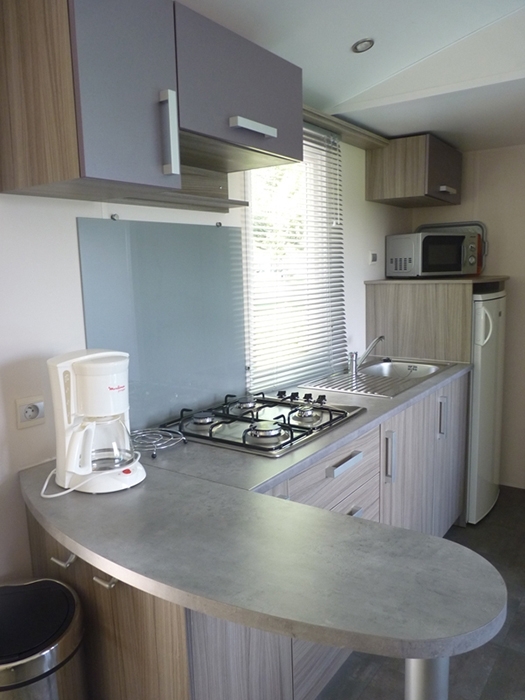 Welcome to Toulouse Occitanie Les Violettes for your Mobile Home rental! 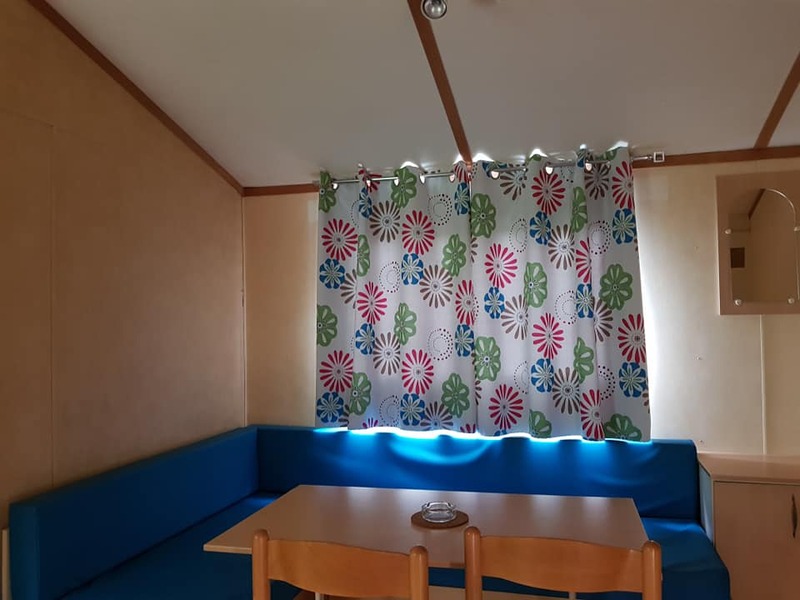 Affordable rate, without sanitary facilities in tent (but located close to campsite sanitary facilities), the furnished canvas bungalow has 2 bedrooms, a kitchenette and terrace to receive between 4 and 6 people. 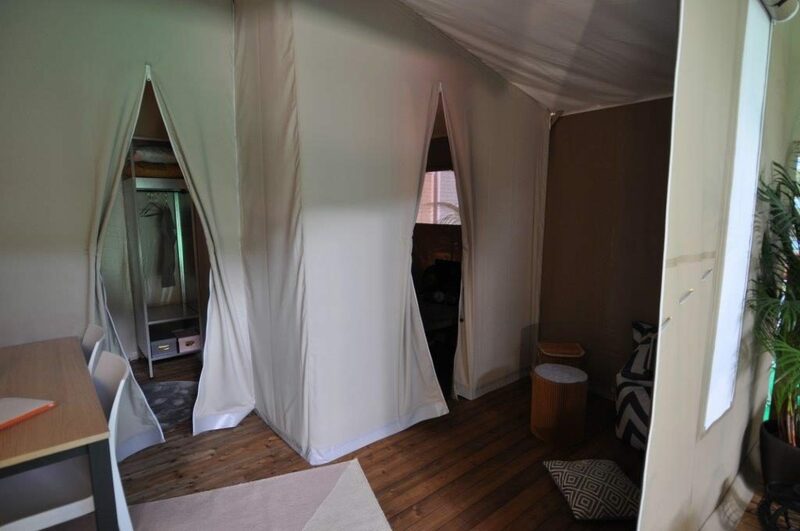 The canvas bungalows can be rented for a one night stopover in our region. 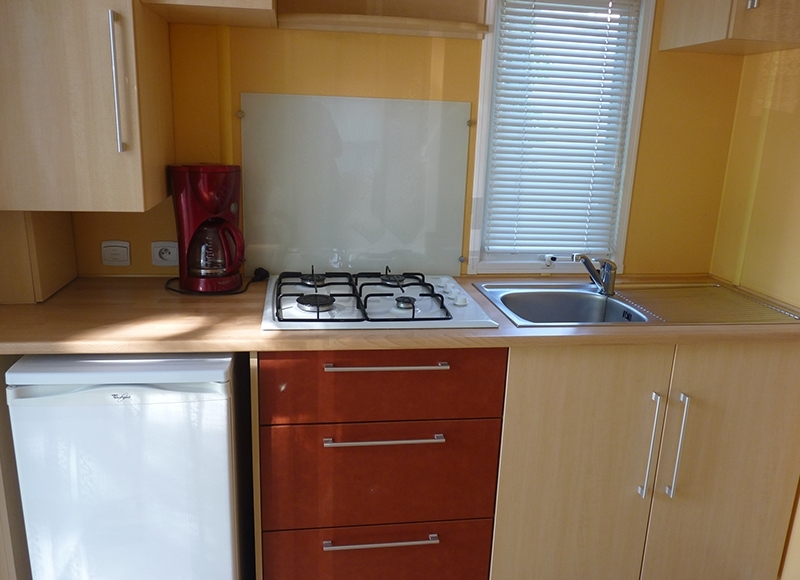 Kitchenette: refrigerator, microwave, gas hobs, electric coffee machine and corresponding dishes. 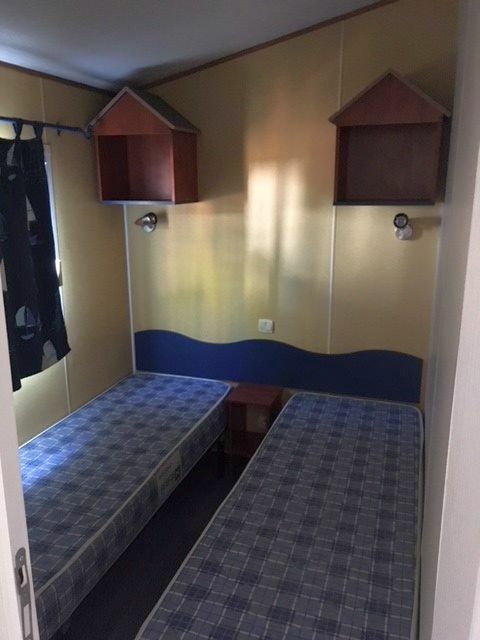 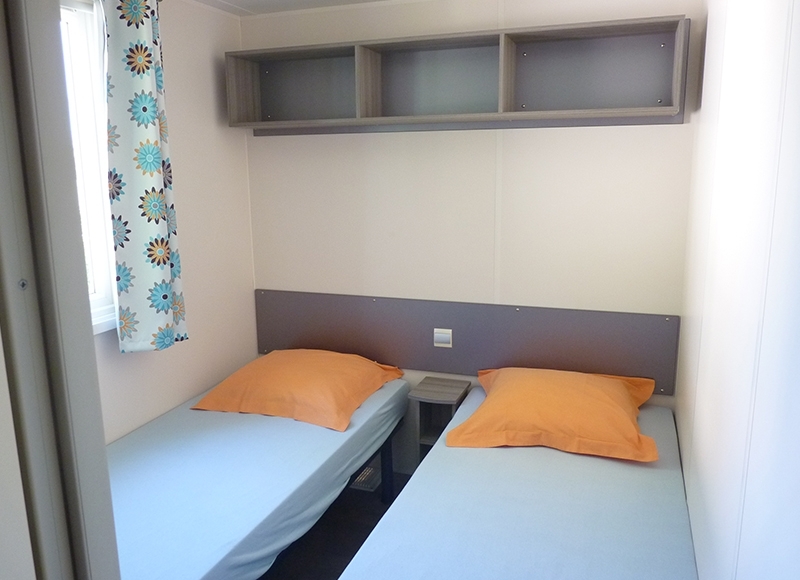 The 1 bedroom Mobil Home TWIN 2 Violettes can receive from 1 to 2 people for short or long stays. 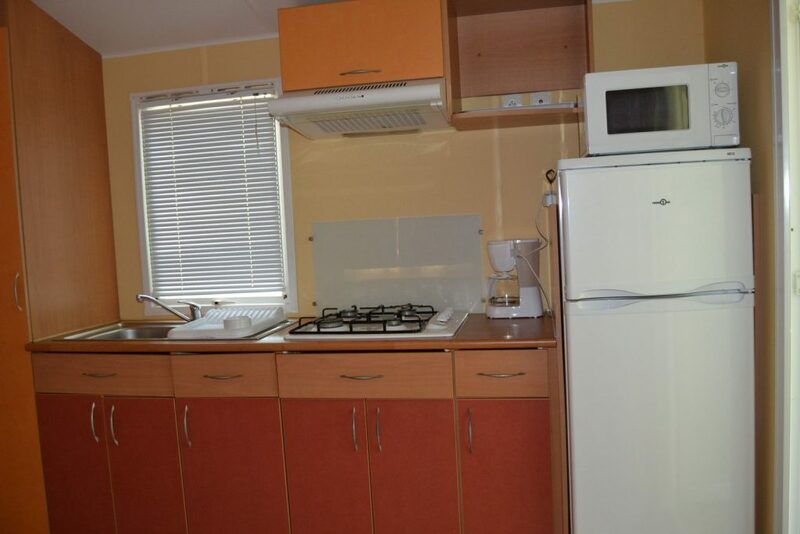 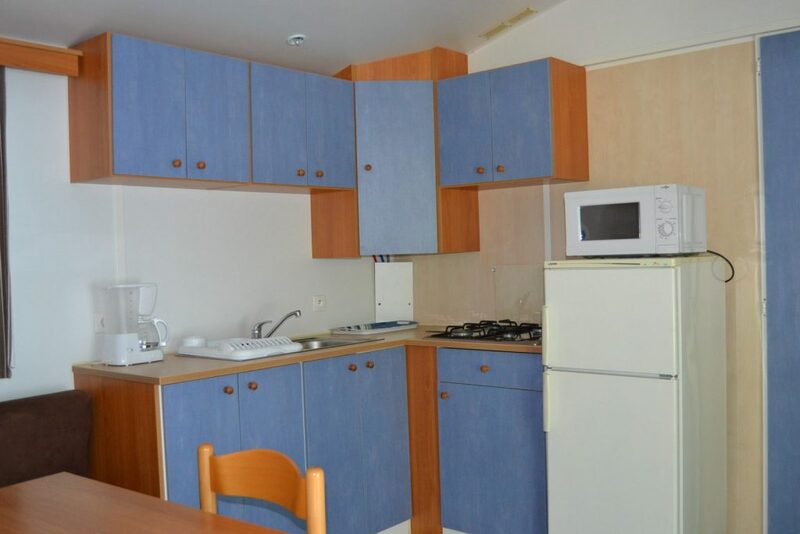 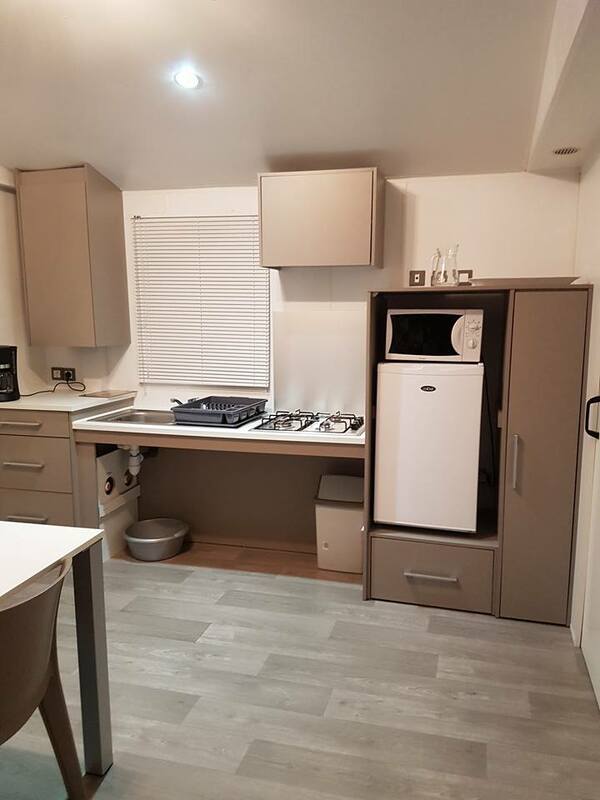 Equipped kitchen (refrigerator, microwave, gas hobs, electric coffee machine and corresponding dishes). 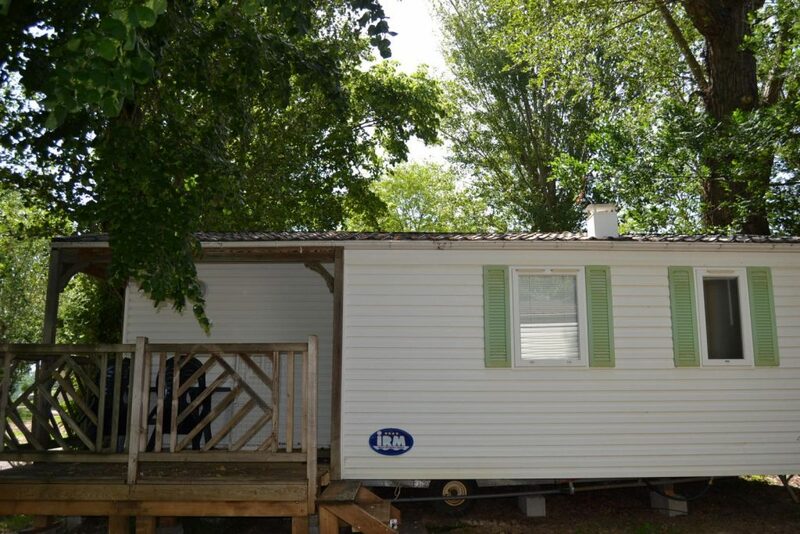 As the mobile homes are not of the same brand and the same year, the inside disposition and outside appearance can be different. 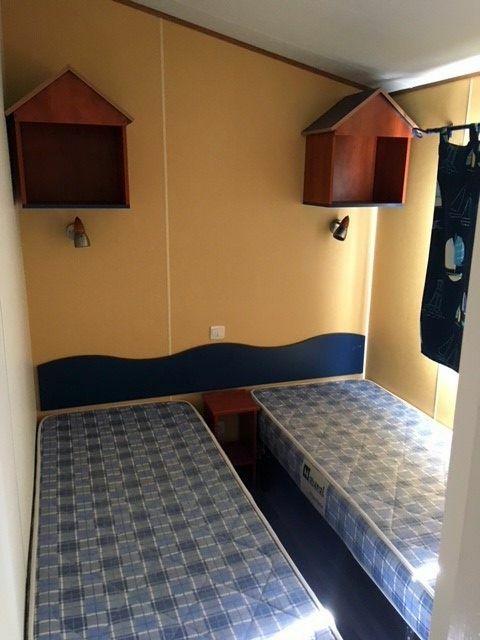 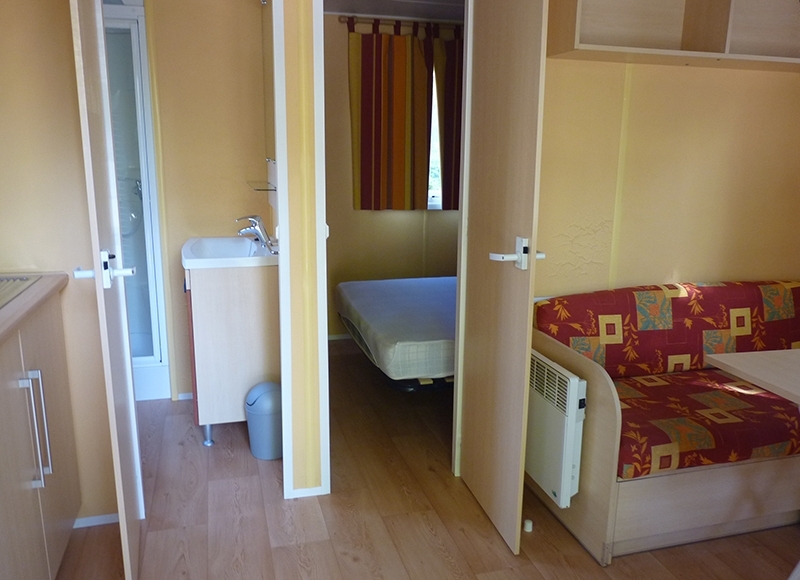 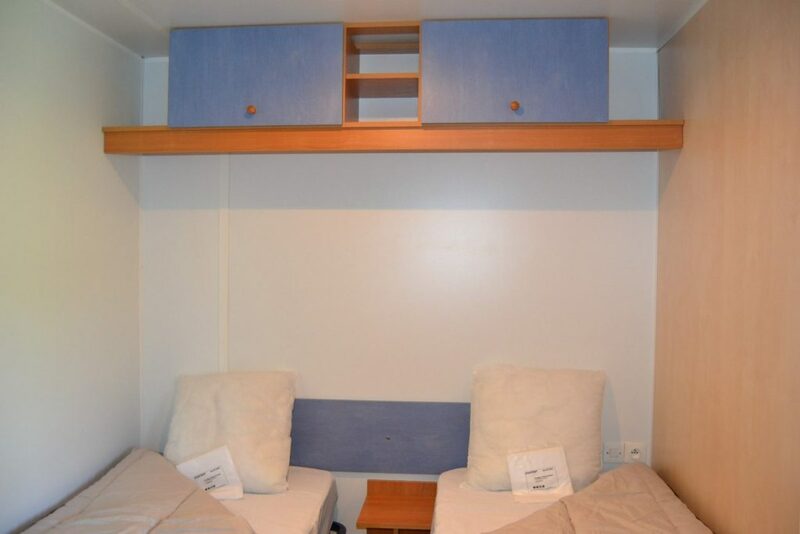 The 2 bedroom Mobile Home – 2 Violettes can receive from 3 to 4 people for short stays. 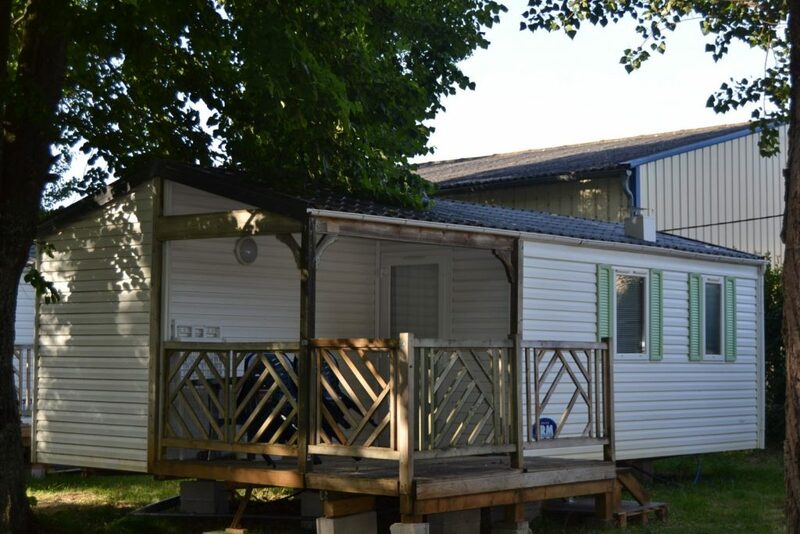 These are approximately 28 m² IRM-type mobile homes with a gable roof. 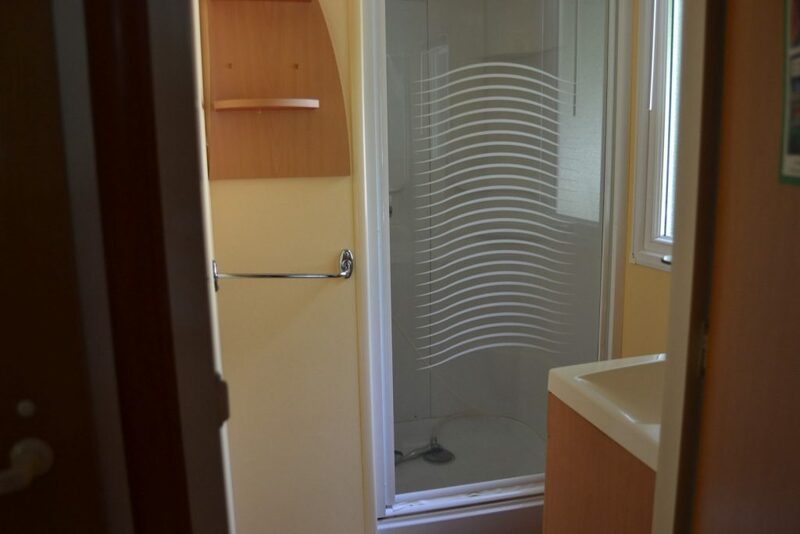 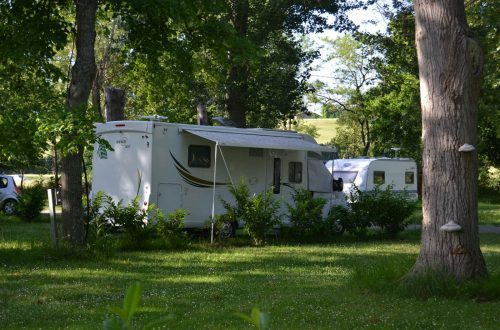 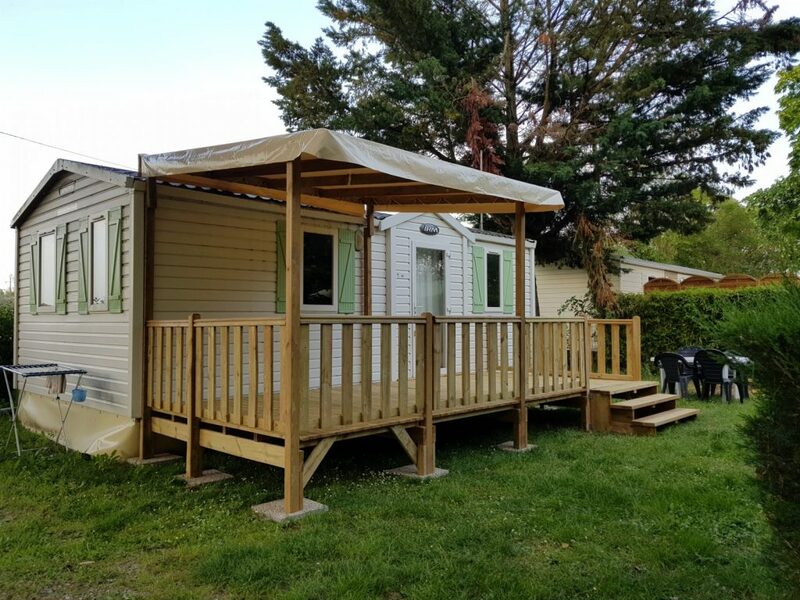 This totally equipped mobile home allows us to offer high-quality stays. 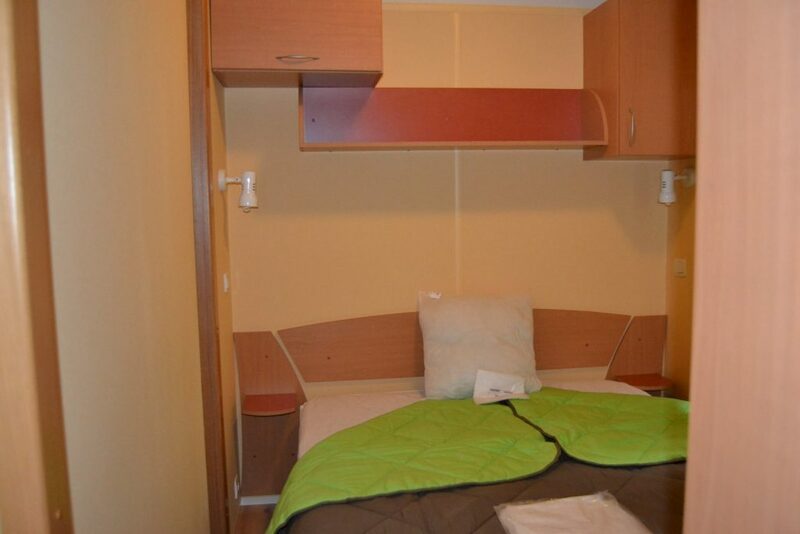 Possibility of long stays with a maximum of 3 people, consult us. 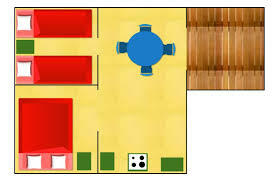 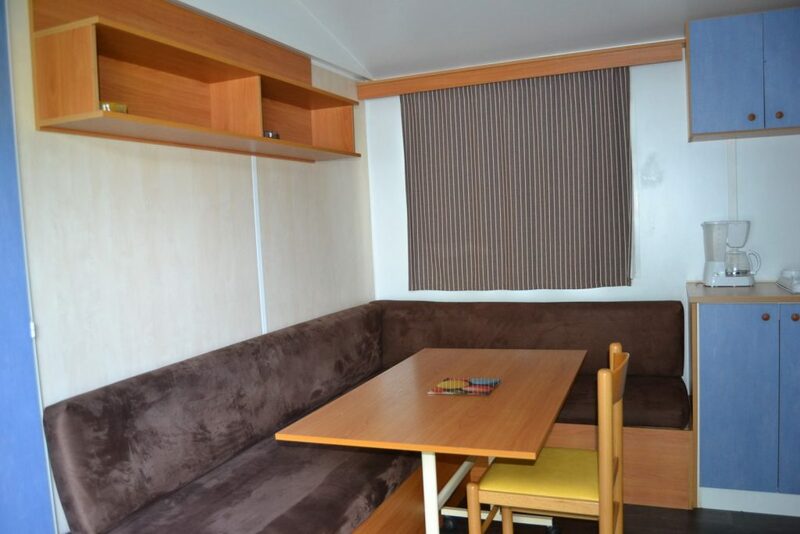 Some mobile homes are equipped with a terrace and are assigned according to availability. 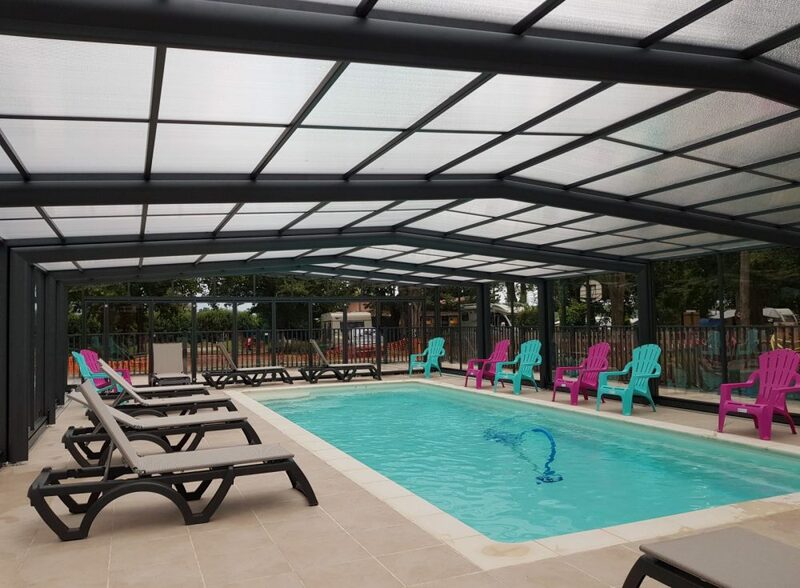 The semi-covered terrace allows you to enjoy the outdoors in all seasons. 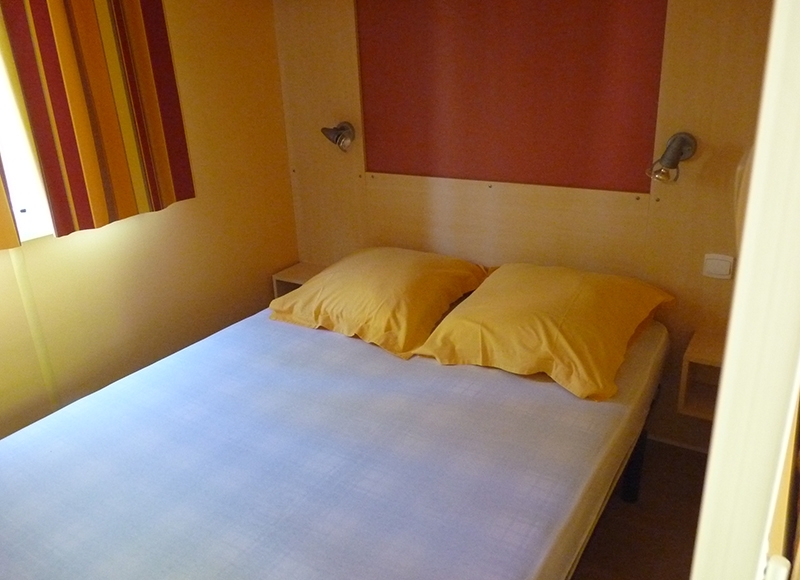 Possibility of long stays for a maximum of 3 people, contact us. 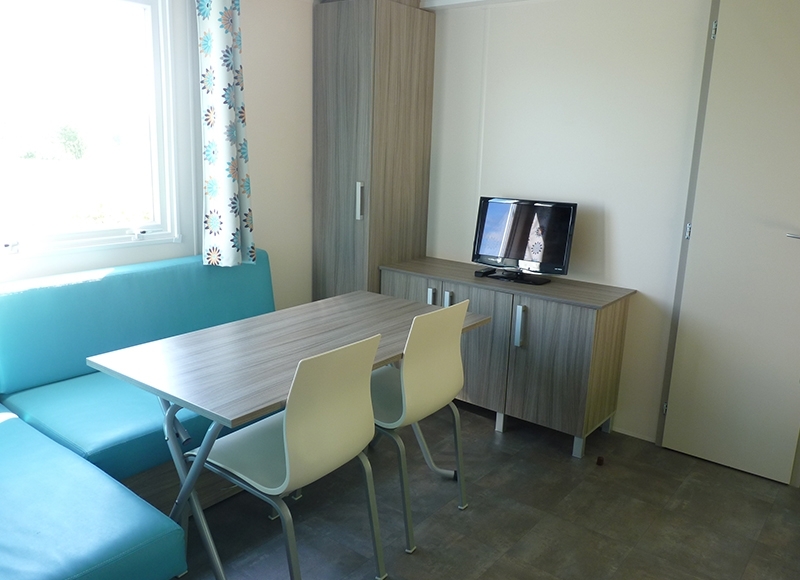 Limited to 3 people for a labourers’ stay. 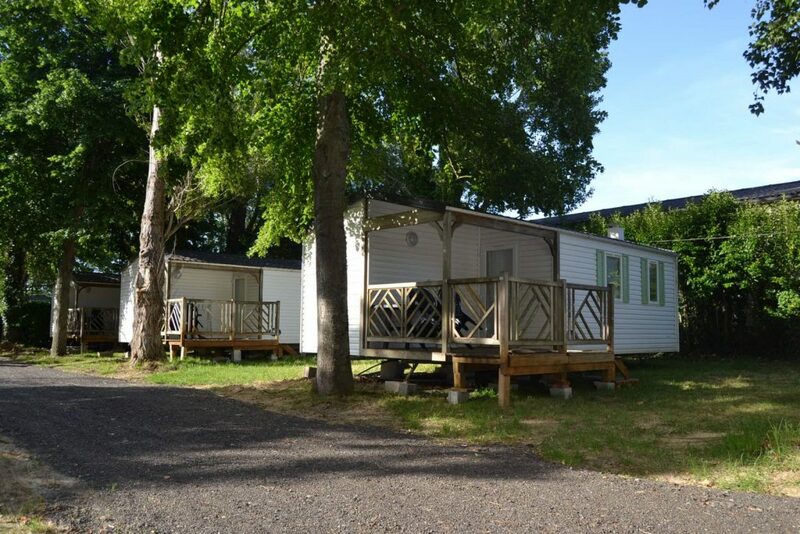 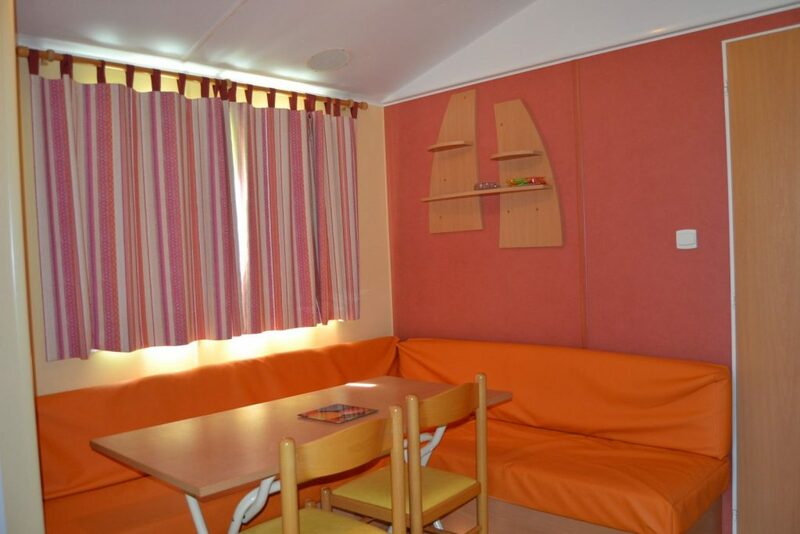 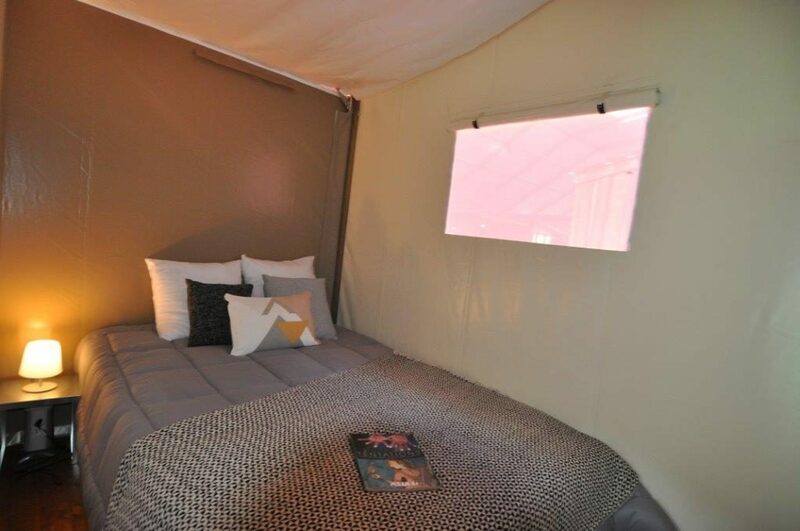 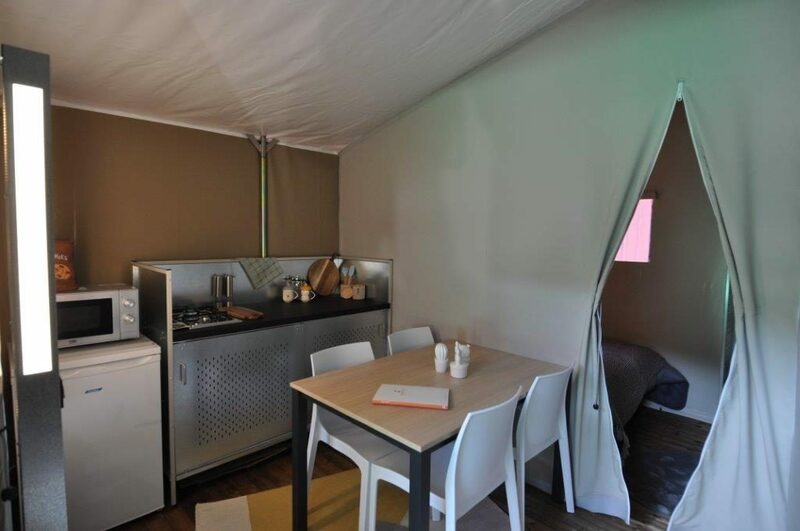 The Mobile Home 2 bedrooms – 3+ Violettes can accommodate from 3 to 4 people for short stays. 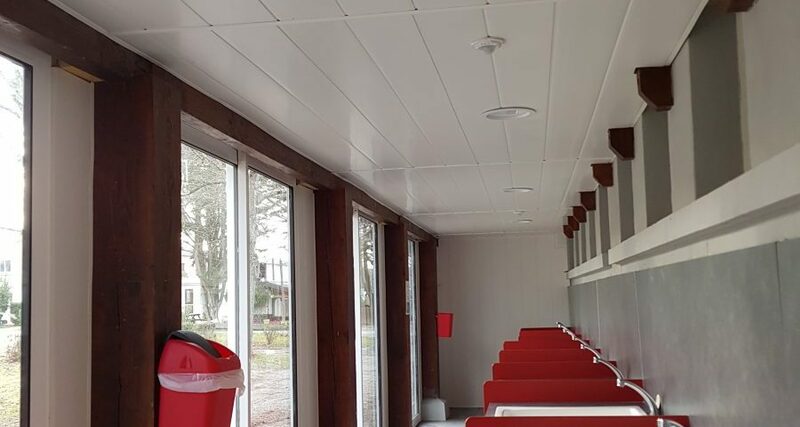 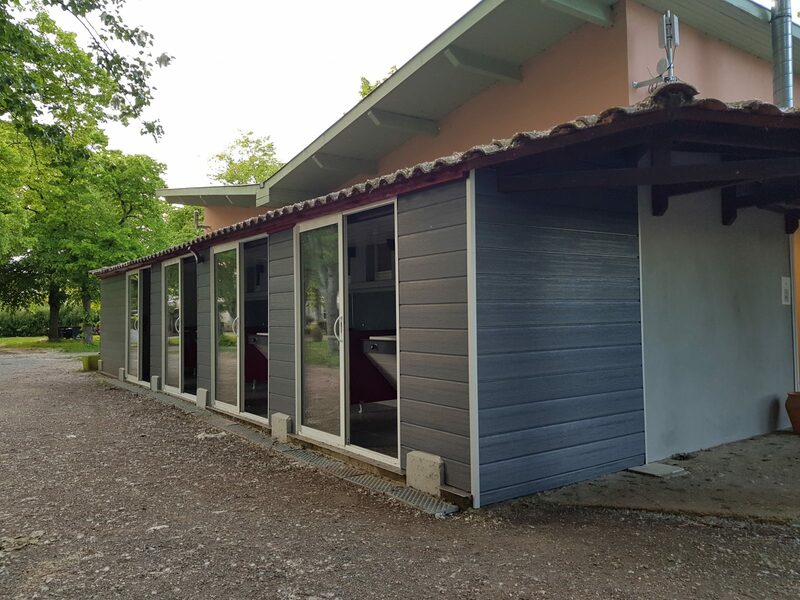 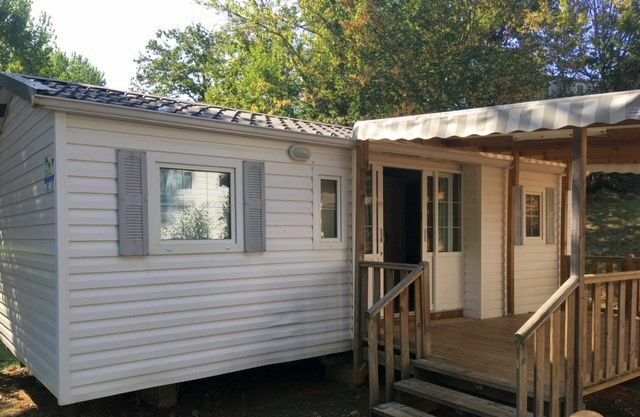 These are mobile homes of type MRI about 28 m² with a gable roof, equipped with a semi-covered wooden terrace. 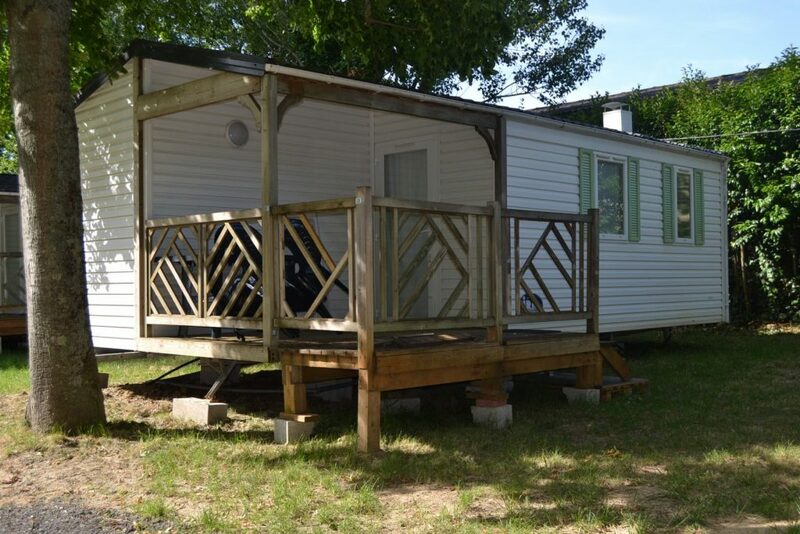 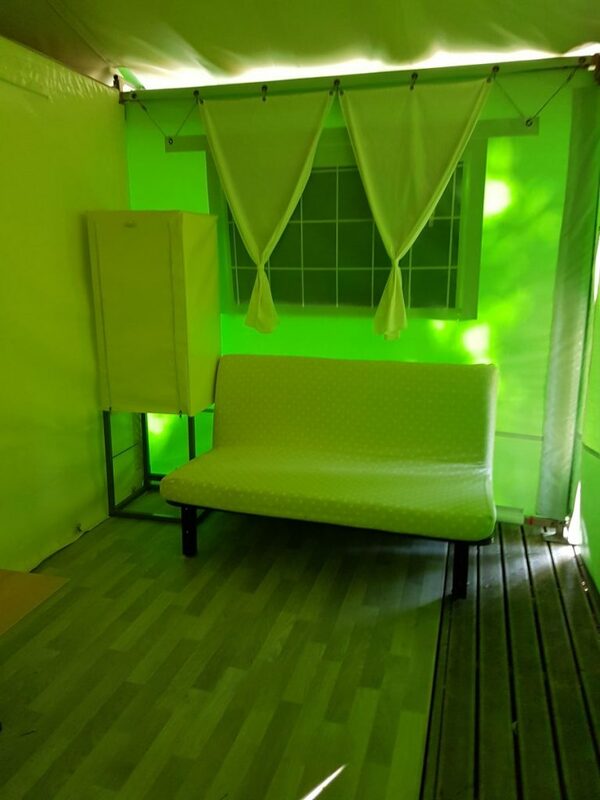 This fully equipped mobile home allows us to offer stays of very high quality. 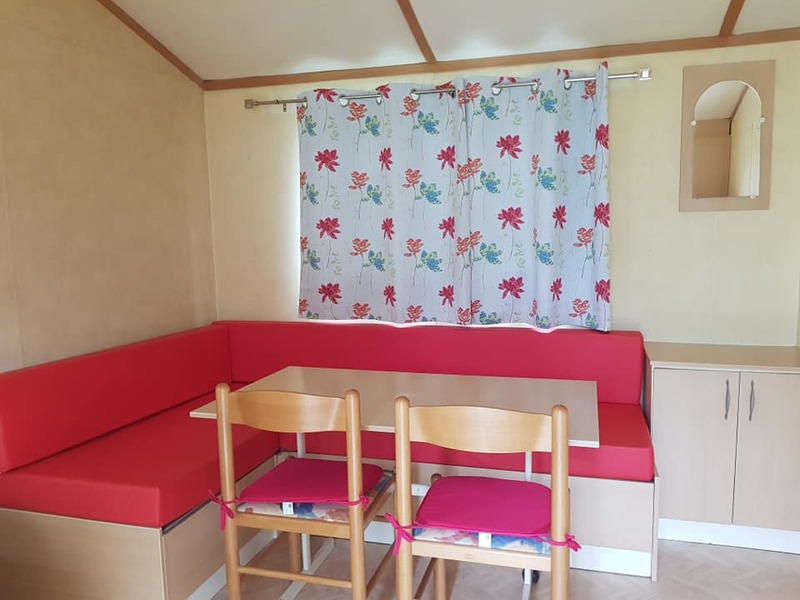 This mobile home is accessible to the people with reduced mobility. 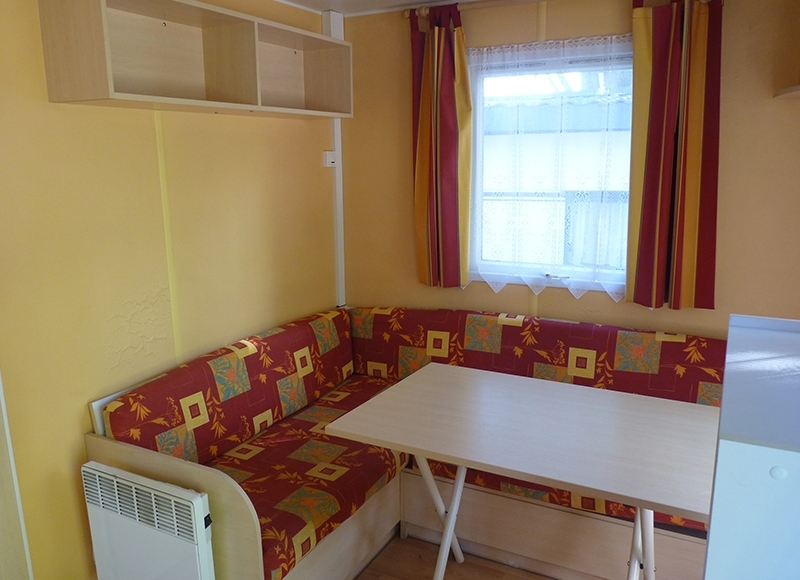 This totally equipped mobile home allows us to offer ultra high-quality stays. 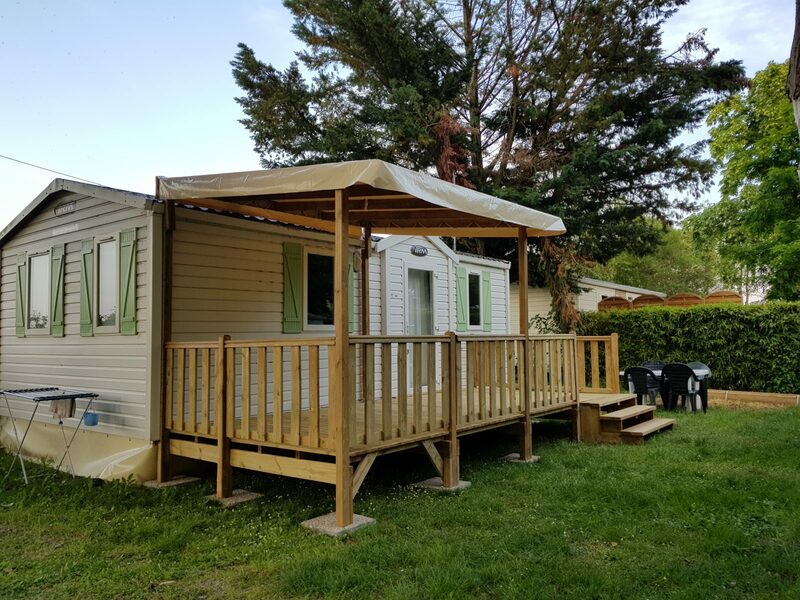 Isabelle, Bruno, Ambre and Victor welcome you year round to Les Violettes Campsite located in Deyme, Southeast of Toulouse. 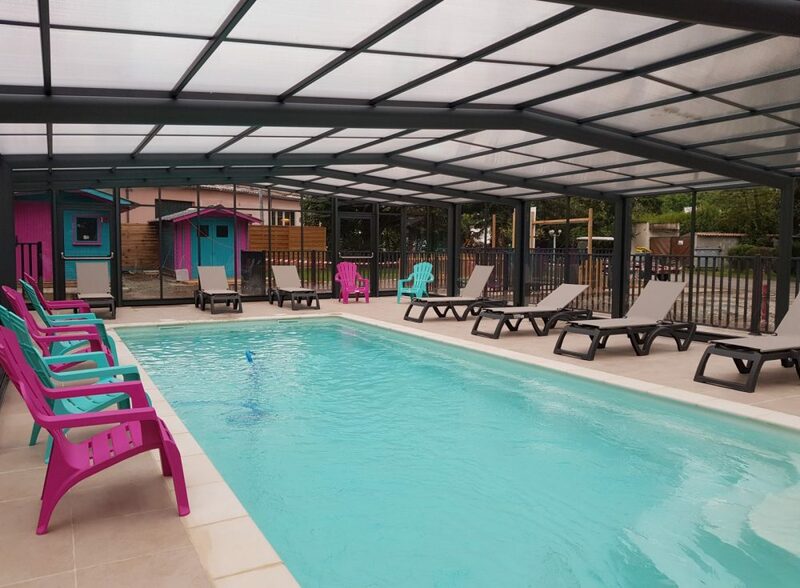 Tourists, Students, Workers, short or long stays – Welcome to a green setting near the Canal du Midi! 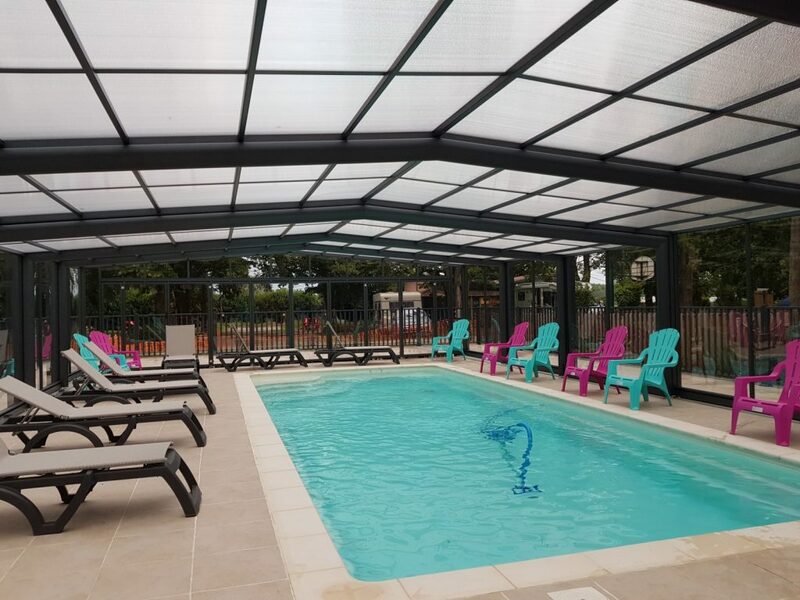 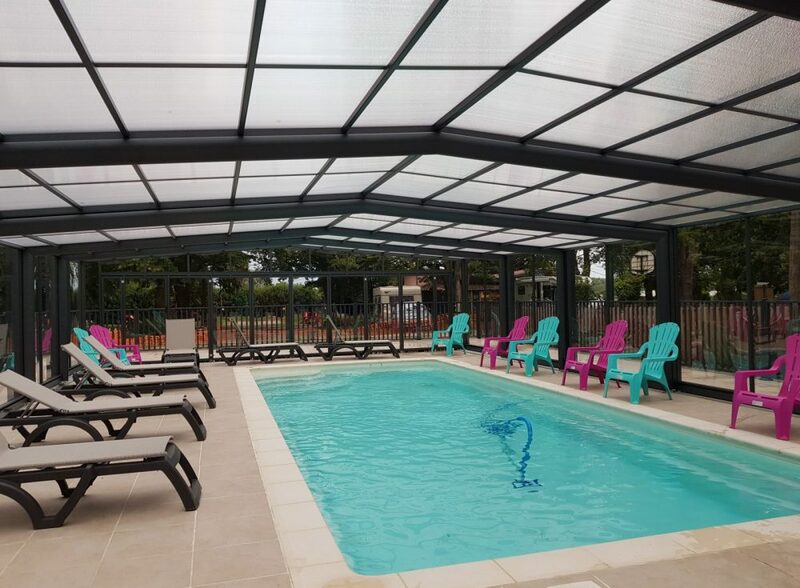 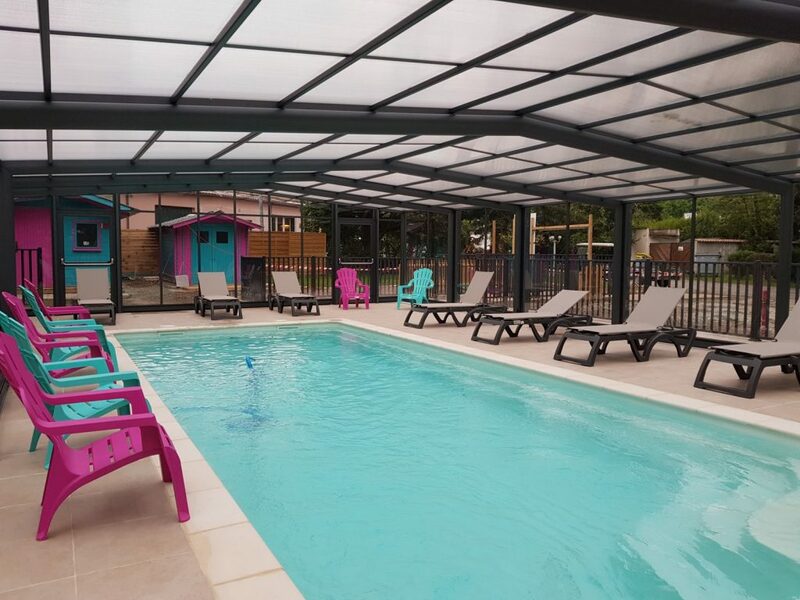 An Enjoyable Stay throughout the Year at Les Violettes Campsite Southeast of Toulouse. 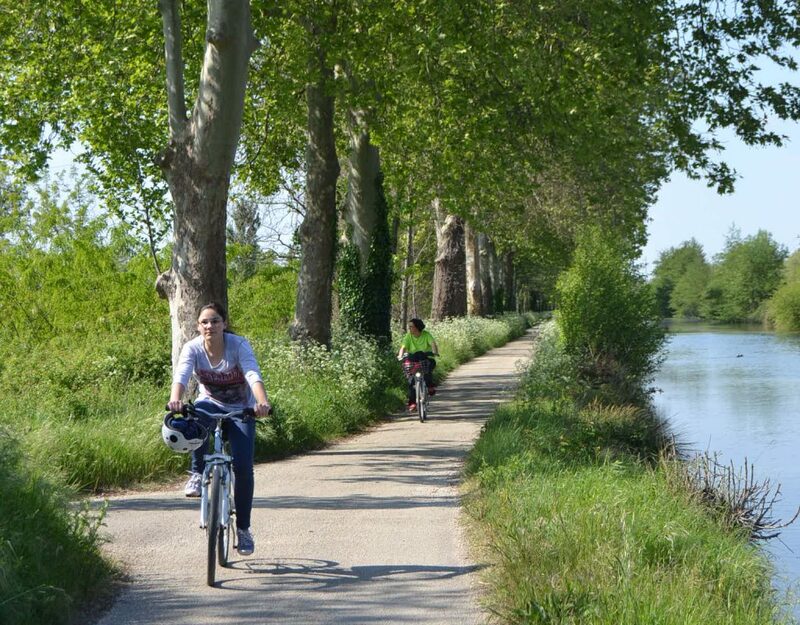 Accueil Vélo is a national label which guarantees reception and quality services to cyclists along bicycle trails. 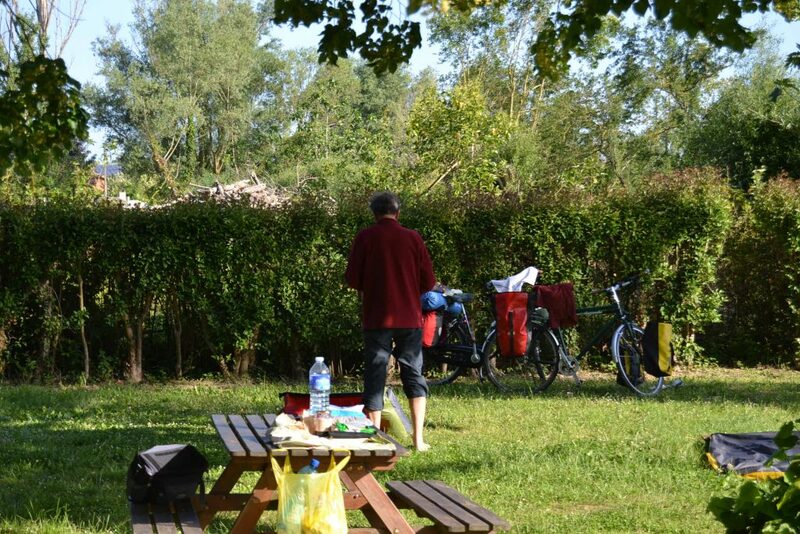 We are partners of France Vélo Tourisme! 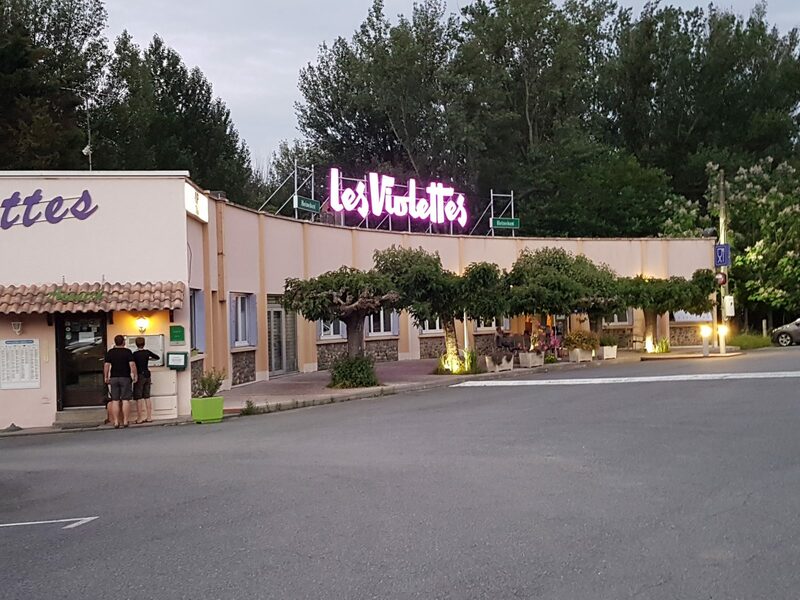 With Accueil Vélo, you are welcome at Les Violettes! 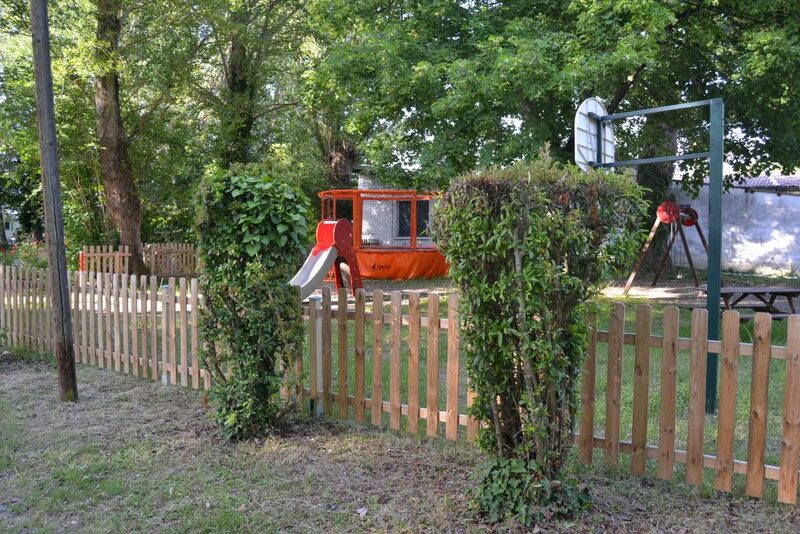 A children’s play area with swing, small slide, and mini-basketball hoop. 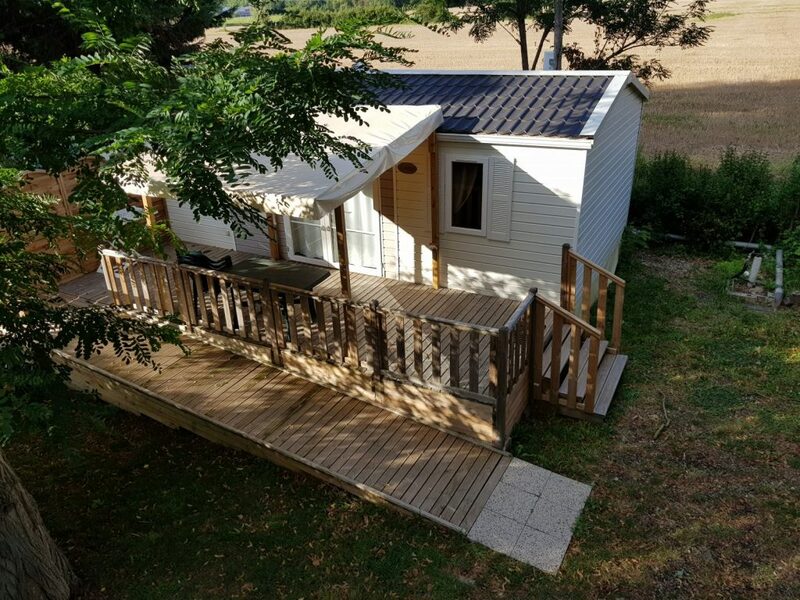 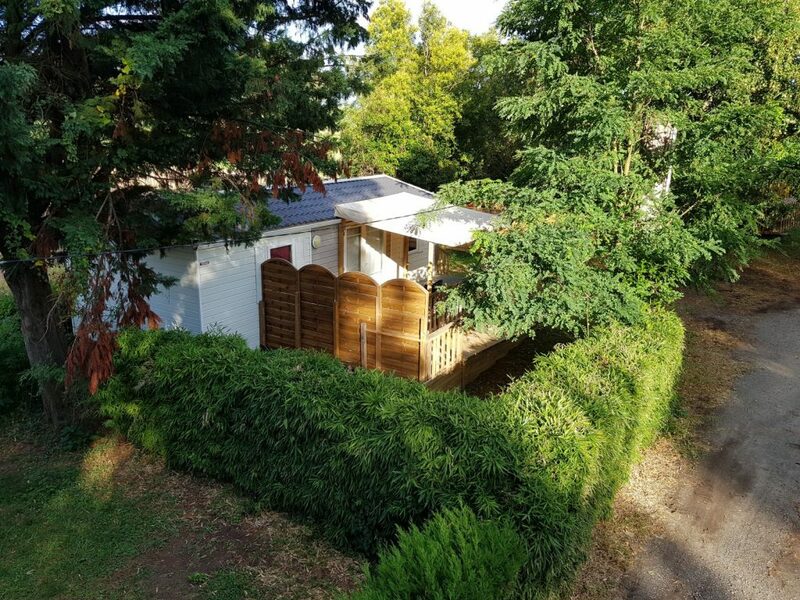 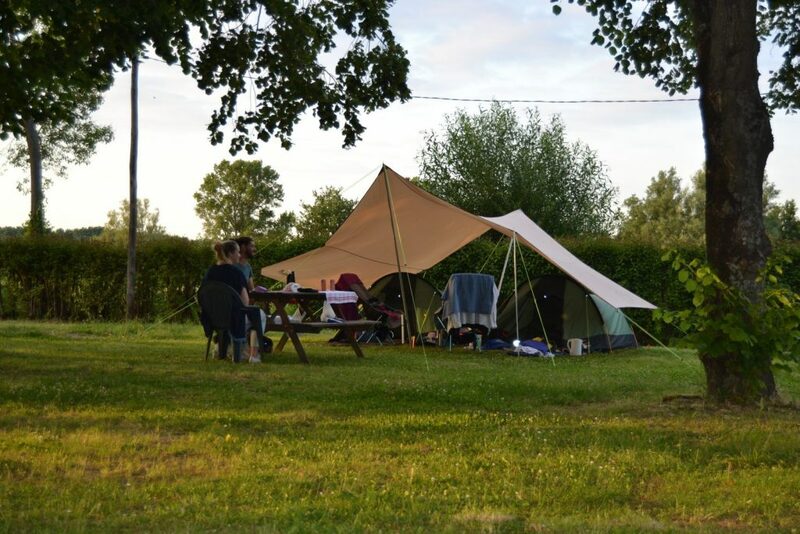 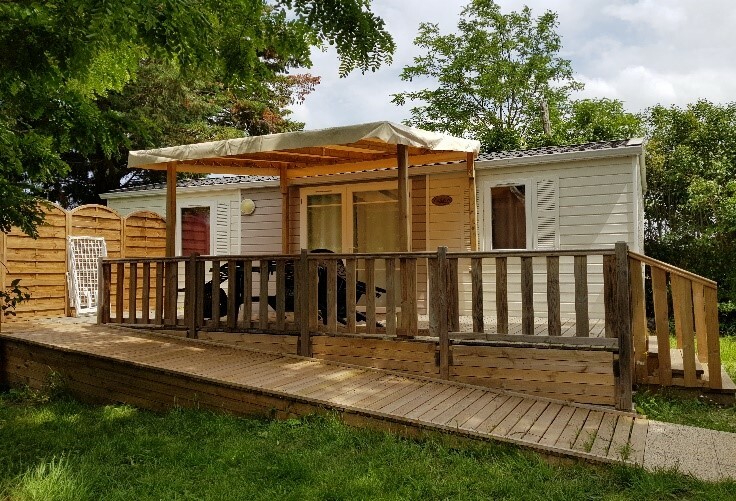 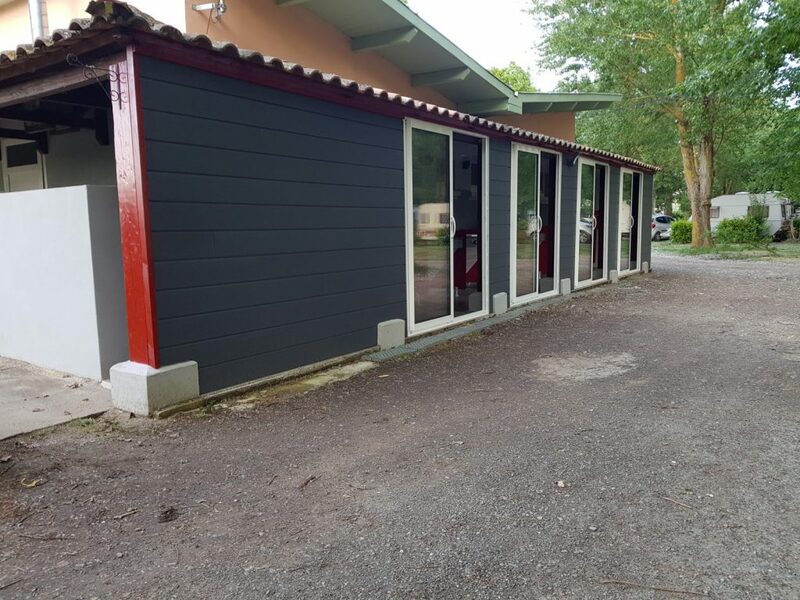 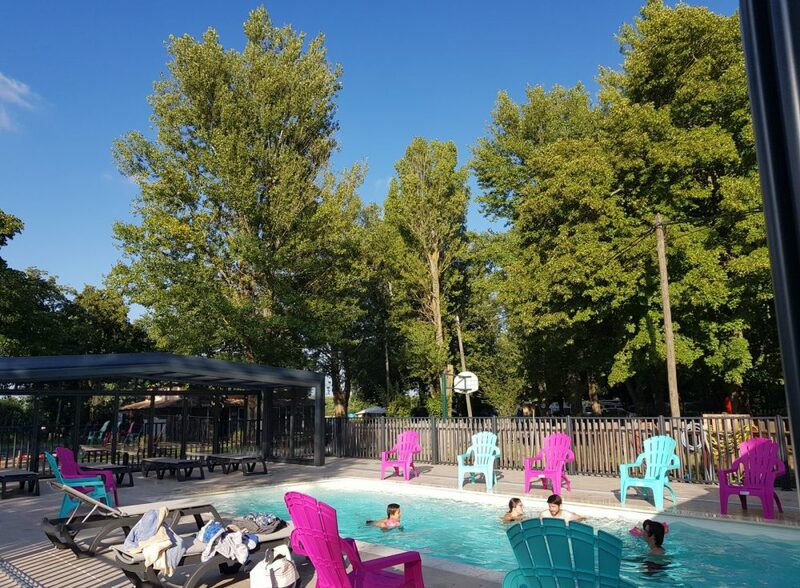 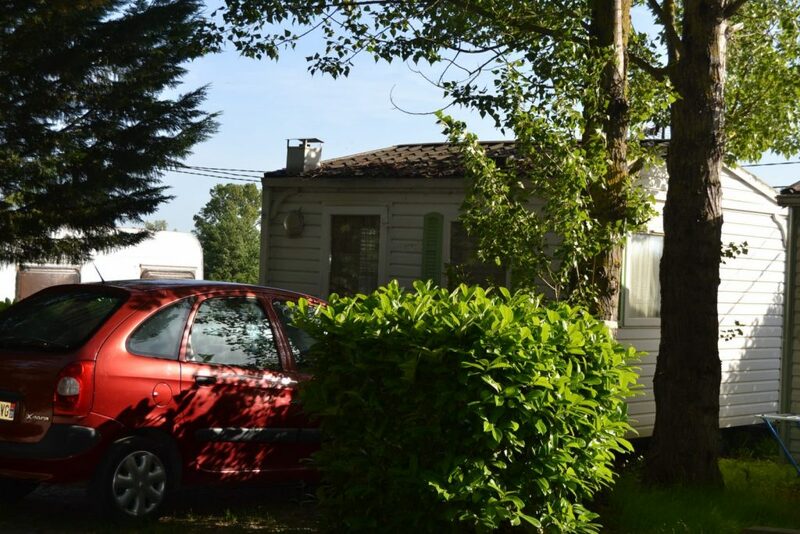 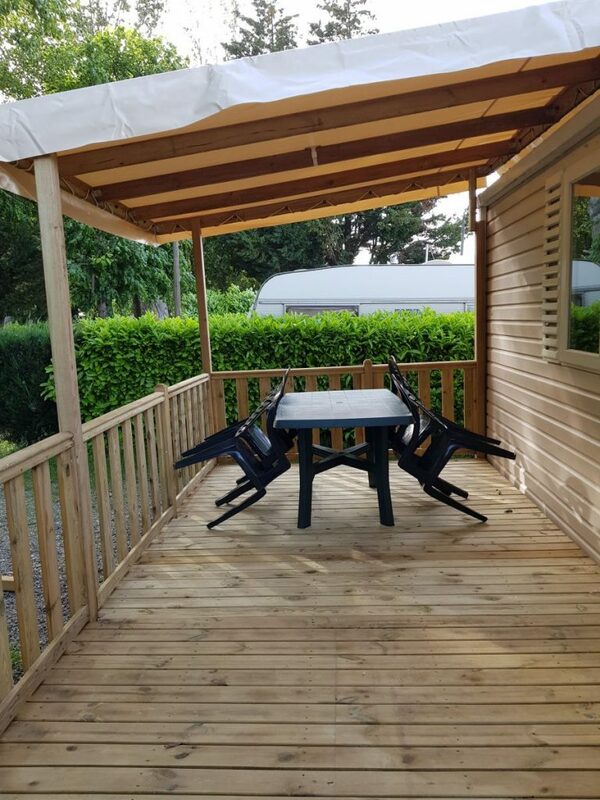 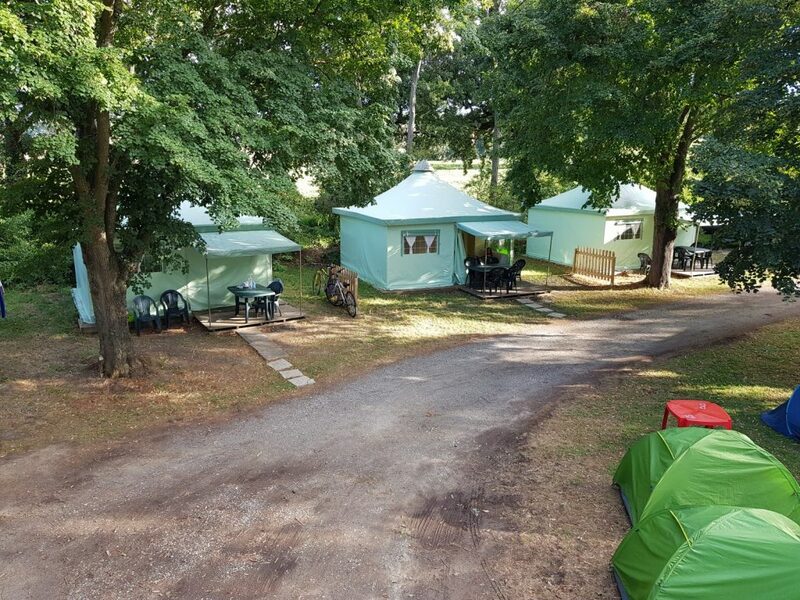 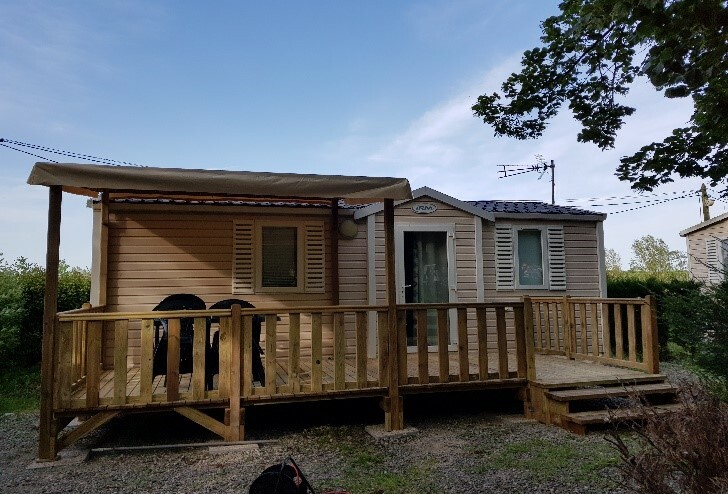 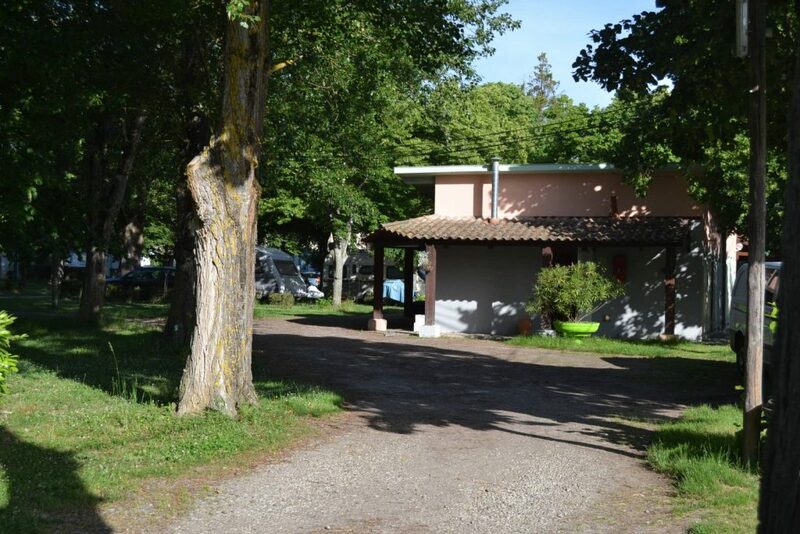 Southeast Toulouse Campsite – Isabelle and Bruno welcome you throughout the year at Les Violettes*** Campsite located in Deyme, southeast of Toulouse. 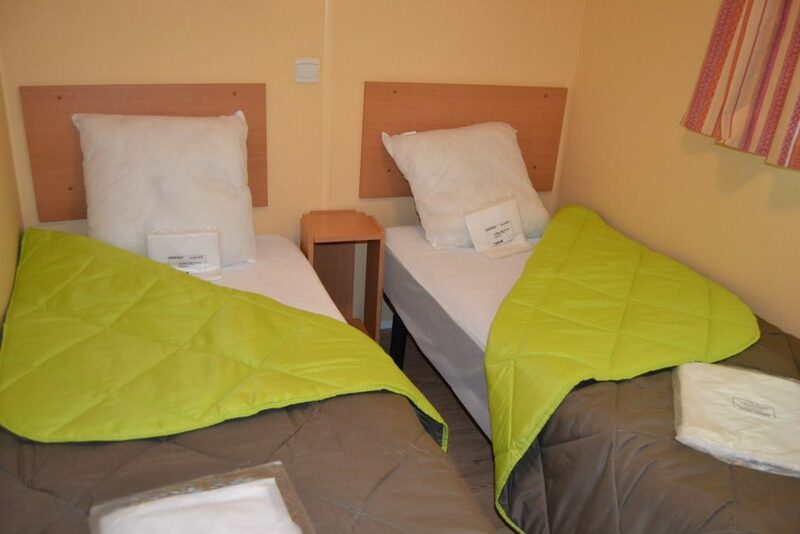 Tourists, Students, Workers, short or long stays – Welcome! 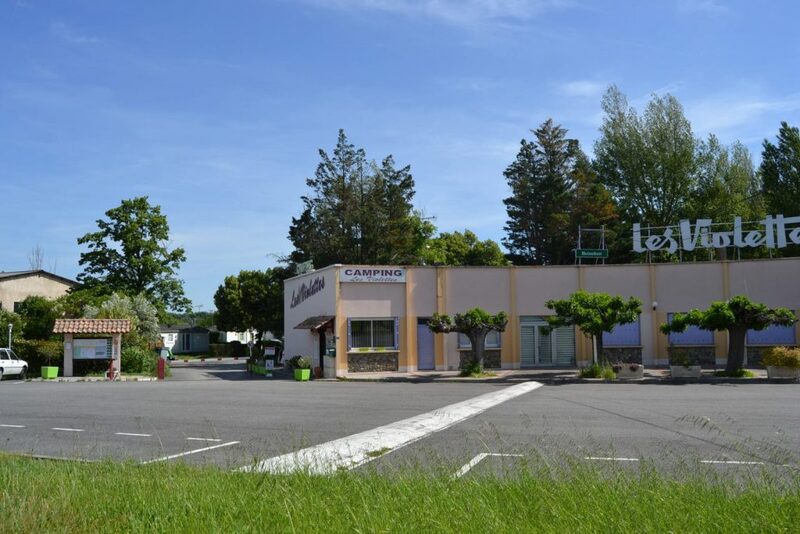 Toute personne dispose d’un droit d’accès, de modification, de rectification et de suppression des données qui la concernent (article 34 de la loi « Informatique et Liberté » du 6 janvier 1978). 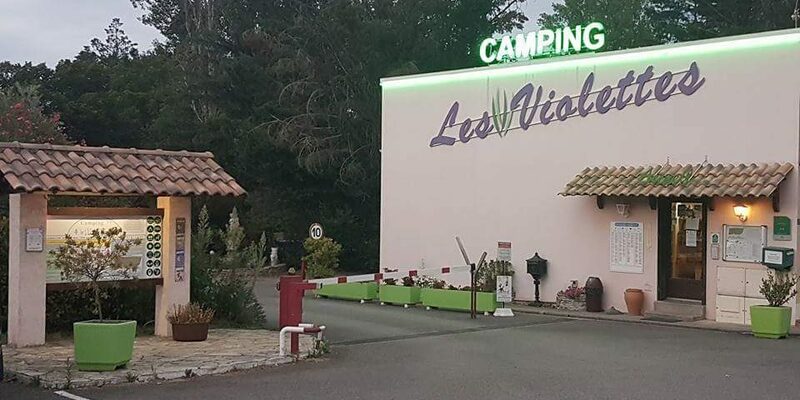 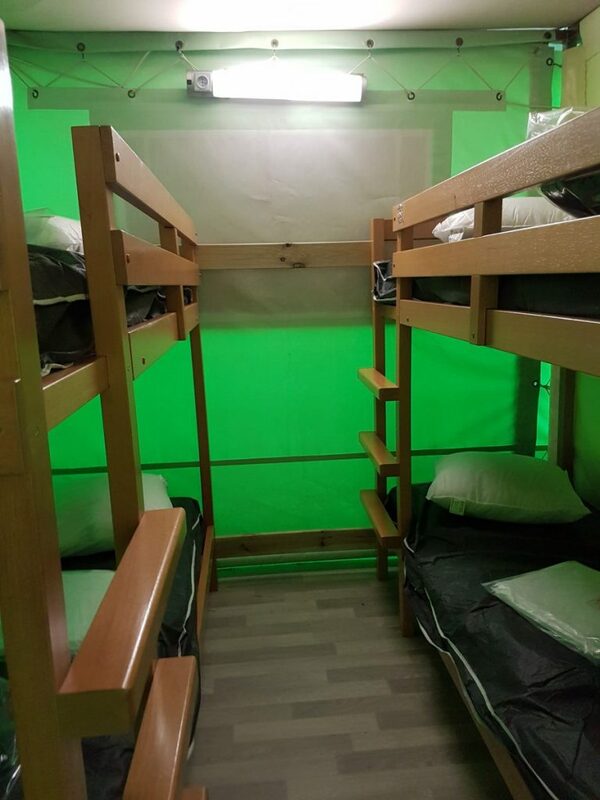 Pour exercer ce droit adressez vous au Camping Les Violettes dont les coordonnées sont mentionnées ci-dessus. Le Camping Les Violettes ne peut-être tenu pour responsable de la disposition ou du contenu figurant sur ou obtenu par l’intermédiaire de ces sites. 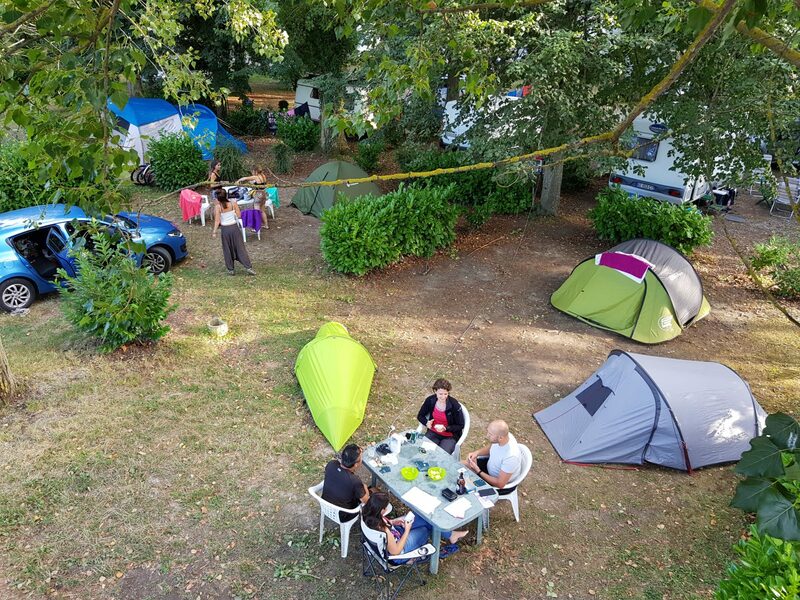 Le Camping Les Violettes décline toute responsabilité quant aux possibles imprécisions ou omissions portant sur les informations présentes sur son site. 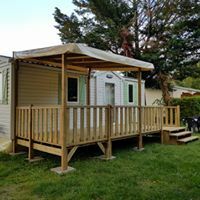 Le Camping Les Violettes décline toute responsabilité pour les difficultés rencontrées lors de l’accès à son Site ou pour toute défaillance de communication. 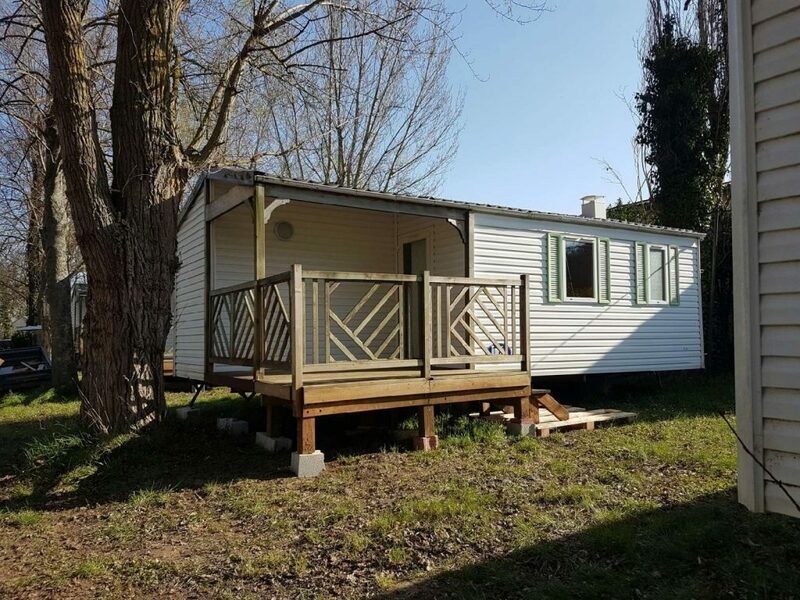 Par la RD 813 depuis Toulouse : Depuis de périphérique, prendre la sortie 19 (Palays) et prendre direction Ramonville Saint-Agne/Castanet-Tolosan. 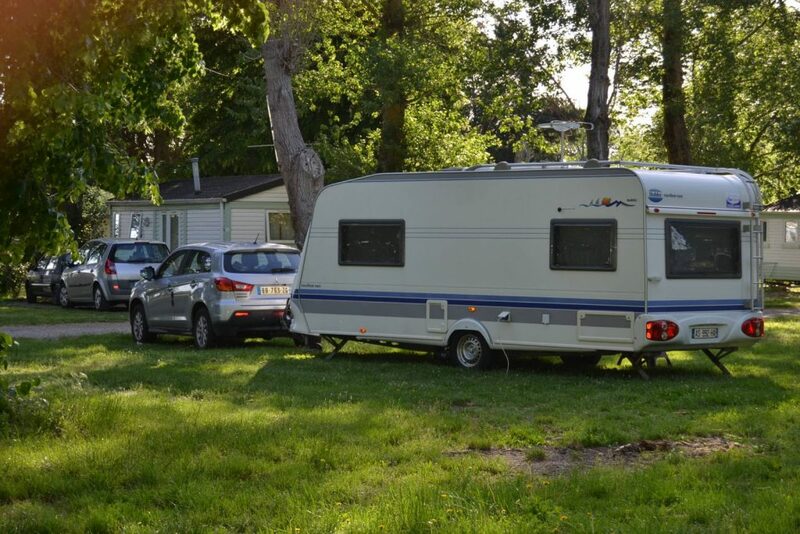 Suivre la direction Castanet-Tolosan et continuer sur la RD813 jusque Deyme ou le Camping Les Violettes se trouvera à votre gauche. 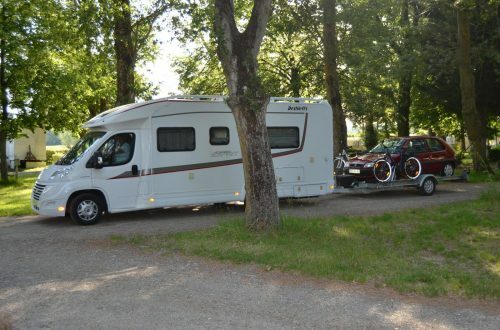 Par la RD 813 depuis Carcassonne : Prendre direction Toulouse sur la RD813 jusque Deyme ou le Camping Les Violettes se trouvera à votre droite. 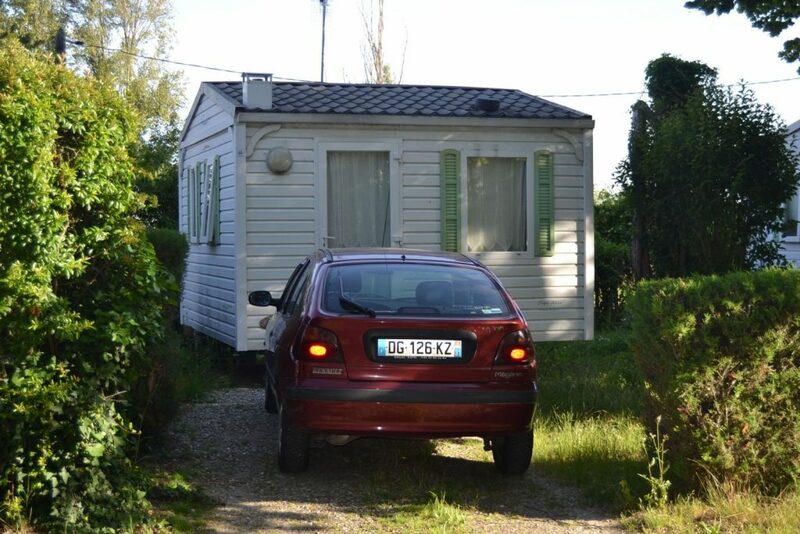 Isabelle et Bruno vous accueillent toute l’année au Camping Les Violettes situé à Deyme au Sud-Est de Toulouse. 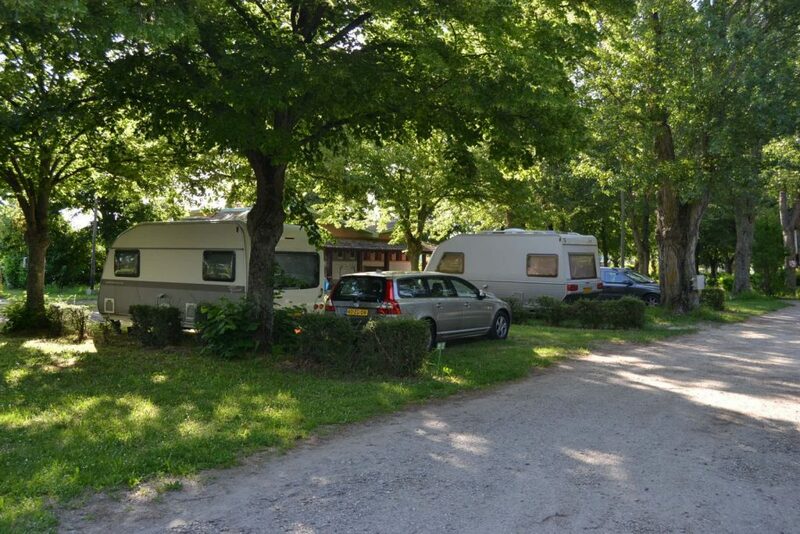 Touristes, Etudiants, Travailleurs, courts ou longs séjours Soyez les Bienvenus dans un cadre verdoyant à proximité du canal du midi ! Un Séjour Plaisir toute l’Année au Camping Les Violettes au Sud-Est de Toulouse. 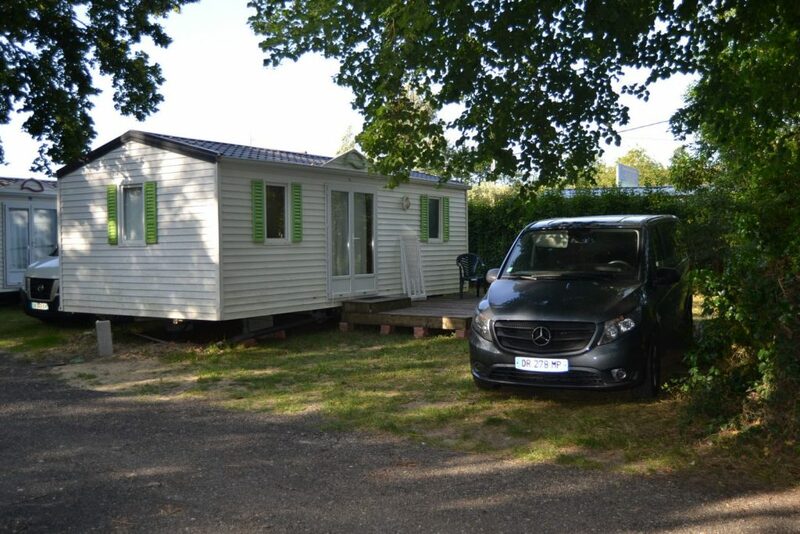 Location Mobil-homes (long week-end, semaine et longs séjours). 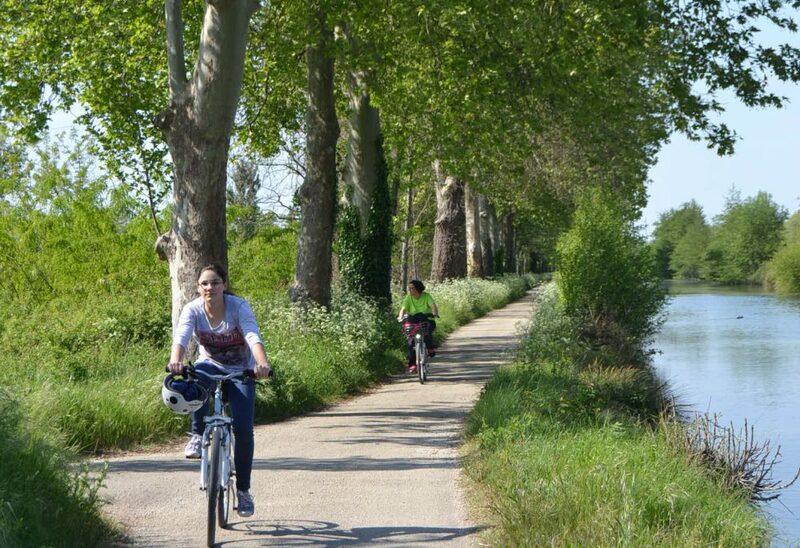 Accueil Vélo est une marque nationale qui garantit un accueil et des services de qualité auprès des cyclistes le long des itinéraires cyclables. 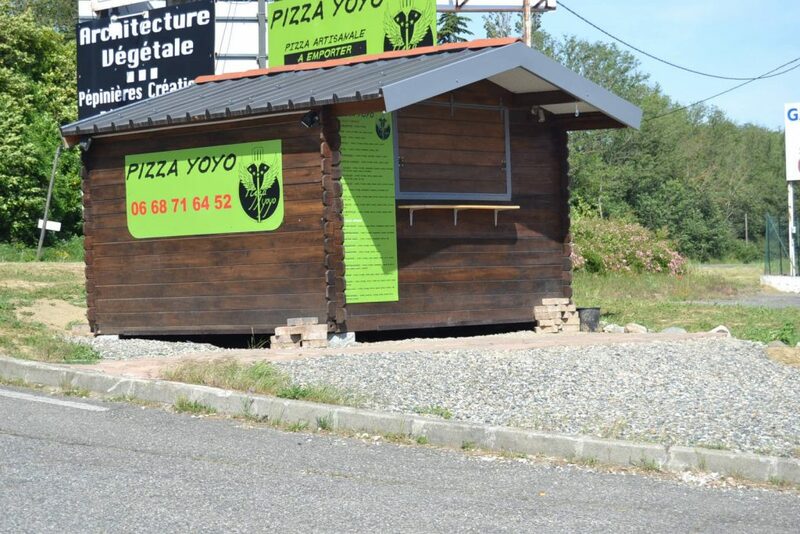 Nous sommes partenaires de France Vélo Tourisme ! 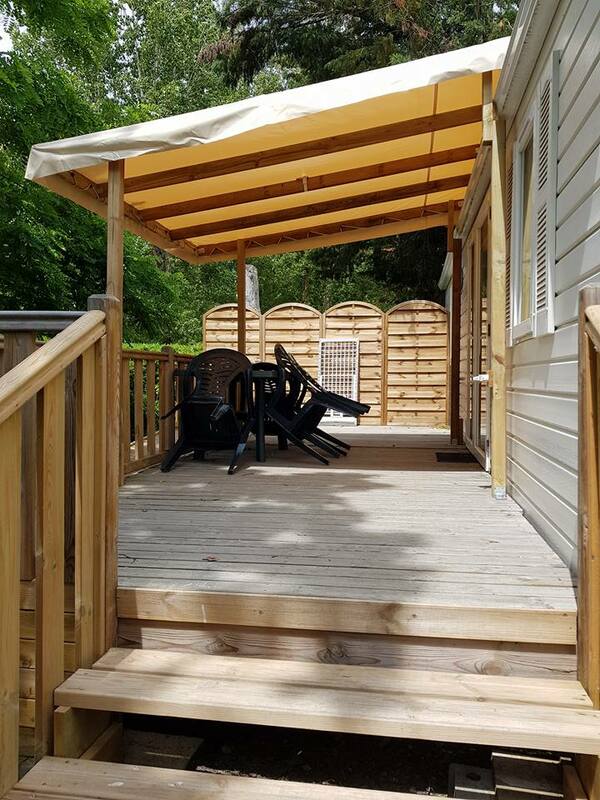 Avec Accueil Vélo, soyez bien reçus chez nous ! 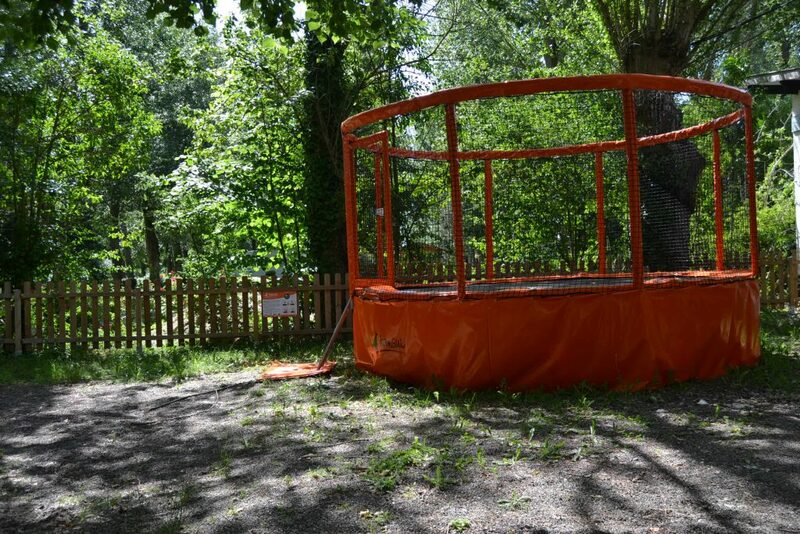 Une aire de jeux pour enfants avec balançoire, petit toboggan, mini panier de basket. 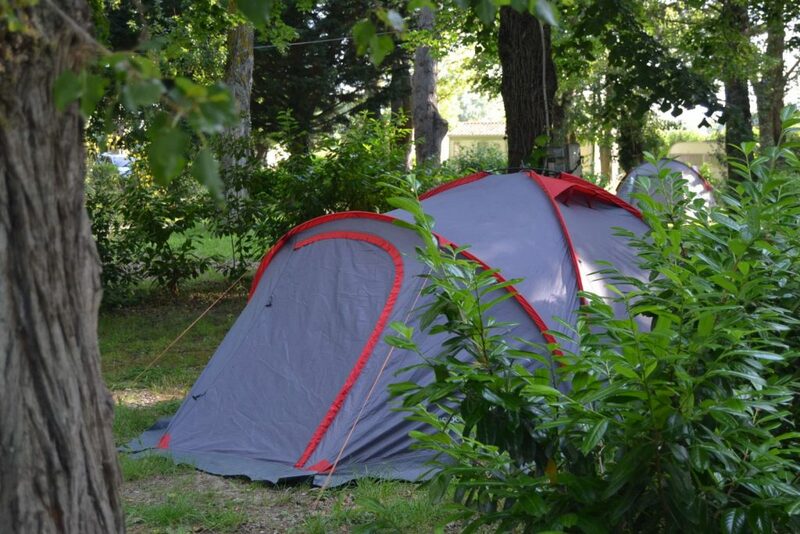 Camping Sud-Est Toulouse, Isabelle et Bruno vous accueillent toute l’année au Camping Les Violettes*** situé à Deyme au Sud-Est de Toulouse. Touristes, Etudiants, Travailleurs, courts ou longs séjours Soyez les Bienvenus !